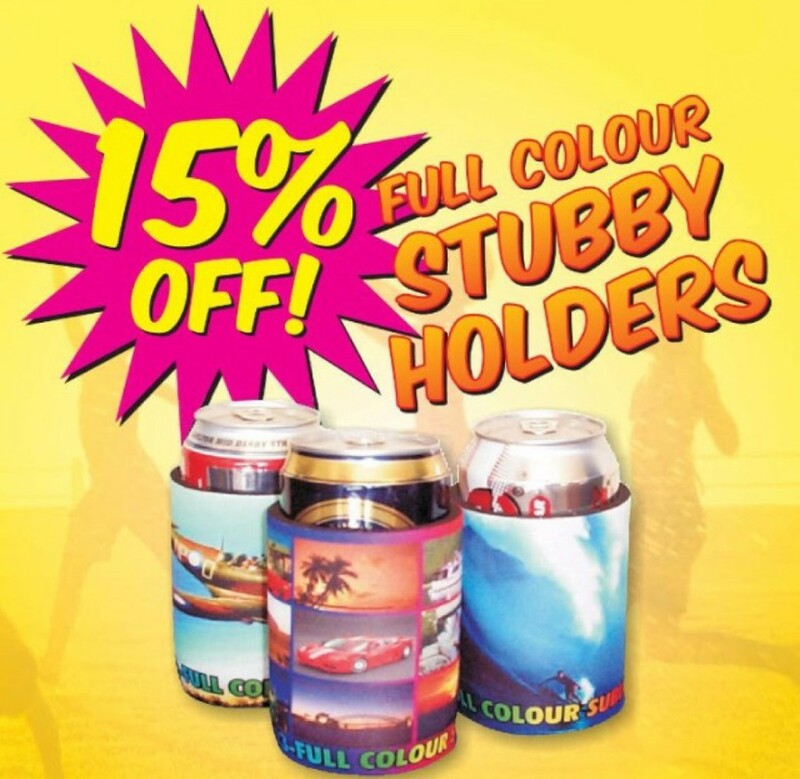 Get 15% off our Stubby Holder with Base & Taped Seam, including a Full Colour Print until the 20th Feb! For orders between 250 & 1000pcs only. Turn around time between 1 & 2 weeks. Item suitable for 375ml Cans or Bottles. 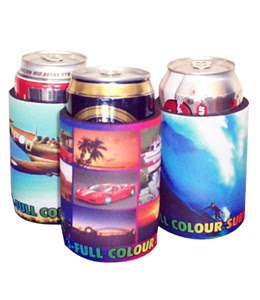 sublimated stubby holder, promo stubby cooler. More great deals from your Promotional Products Specialist with this weeks "Last Colourways Sale"
Here at Vivid Promotions, we pride ourselves in supplying quality marketing solutions by providing our customers with a massive selection of Premium Promotional Products. More often than not, there are incredible deals for our valued customers to take advantage of and we do our best to bring it to their attention. 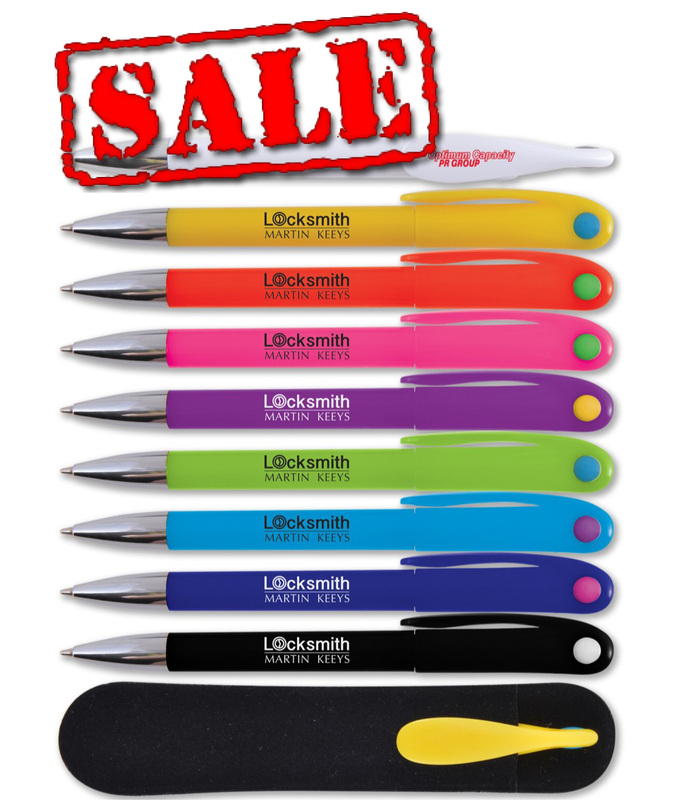 This week, it's a Sale for the Last Colourways of a small variety of Promotional Products. Simply click on any of the above images to navigate to our website and see how much you can save! merchandise, promotional products sale, promotional marketing, promotional advertising. Special Pen Clearance - Available While Stocks last! Super cheap pricing available on these pens but only while stocks last! Here is a special you can't ignore! Scroll to the bottom to see our extremely competitive Print Pricing. 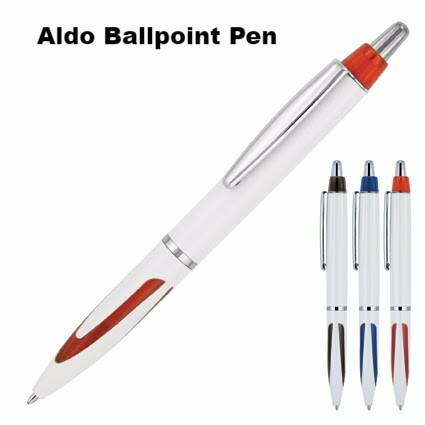 marketing, corporate gifts, personalised pens. 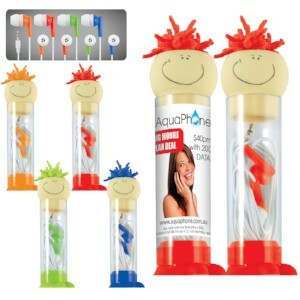 promotional item that makes a great billboard for your business or brand. 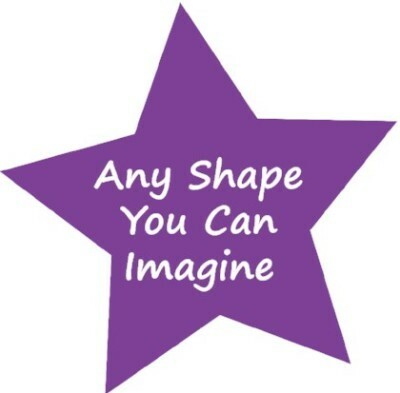 logo or message, with three popular colours to choose from. 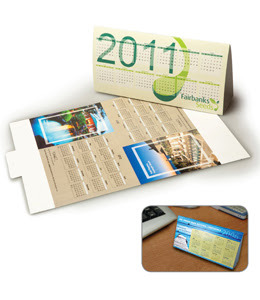 printed with your logo, they make an excellent marketing tool. 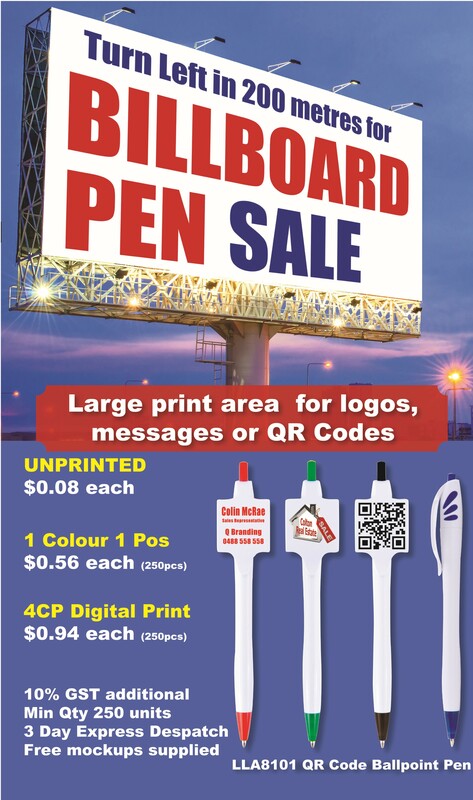 Billboard Pen Sale - Crazy Prices - Maximum Print Coverage! Looking for a pen that you can customise with a much larger print area? Then the QR Code Ballpoint Pen is the one for you! eye catching boost it needs to stand out from the crowd. 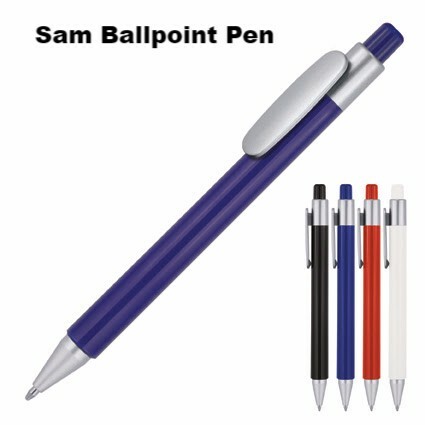 The Billboard Ballpoint Pen is available in 4 popular colours and comes with a black ink refill. You have the option for a 1 colour Pad Print or Full colour process print. looks in the much large print area before ordering. 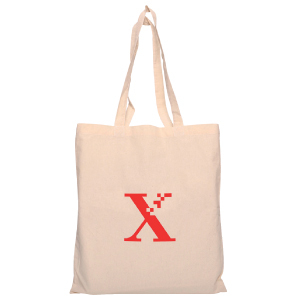 Save on Tote Bags for this month only! have a large print area for your brand to be displayed in full for everyone to see. and of course you're getting incredible Bang for your Buck! Promotional Hand Sanitiser with your Company Logo. Keep the germs at bay in your workplace this Flu Season! Ensure your clients know your image with the Personalised Hand Sanitiser Gel. 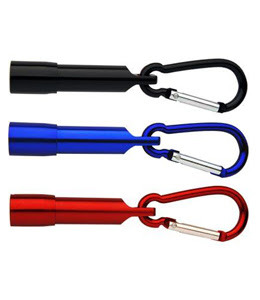 The Perfect Promotional giveaway item for use either inside or outside, complete with a carabiner allowing you to effectively attach it to your hand bag or backpack. 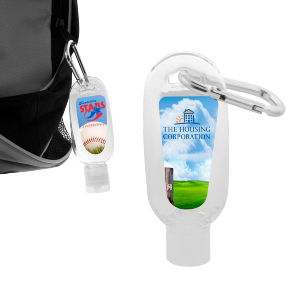 This portable and pleasantly scented Promotional Hand Sanitiser Gel makes another great custom gift idea. When you're talking Affordable Brand Exposure, the HCLH-803 Hand Sanitiser Gel works like a charm especially when being shared amongst others. the chance of flu symptoms becoming your worst nightmare this winter! the above hand sanitisers which include printing your logo. So get in quick and take advantage of this great offer while it lasts! 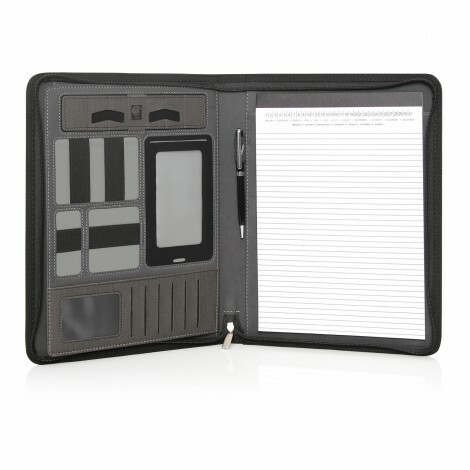 GBLC480 - Elegantly finished in Italian PU with a subtle charcoal herringbone pattern - Includes a large pocket to fit most 15” laptops, adjustable tablet/phone stand, mobile phone sleeve (up to iPhone 6 Plus) with a touch sensitive contact window, multiple card and accessory holders, 5,000mAh power charger, pen loop and A4 notepad. 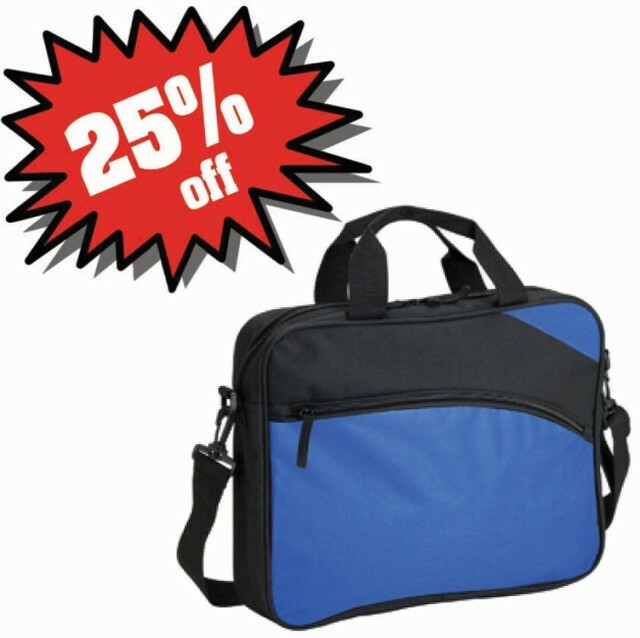 Italian PU, Large pocket to fit most 15” laptops. Mobile phone sleeve (fits up to iPhone 6 Plus) with contact window. Multiple card and accessory holders. Pen loop, Pen not included. 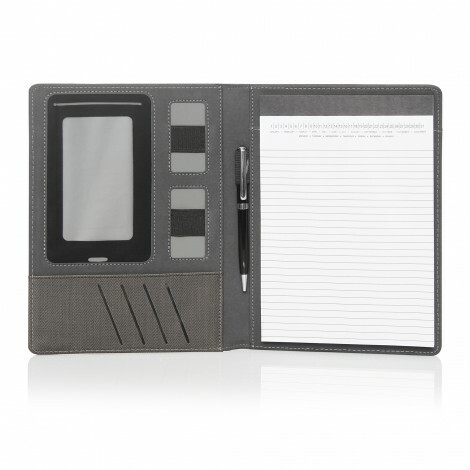 GBLC476 - Elegantly finished in Italian PU with a subtle charcoal herringbone pattern - includes a mobile phone sleeve (up to iPhone 6 Plus) with a touch sensitive contact window, multiple card and accessory holders, pen loop and A5 notepad. Hi are using WordPress for your blog platform? I’m new to the blog world but I’m trying to get started and set up my own. Do you need any coding expertise to make your own blog? Any help would be greatly apreacietpd! 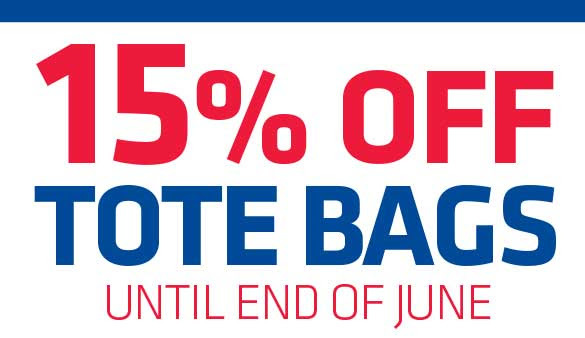 15-25% Off Selected Products - Save BIG this Summer! 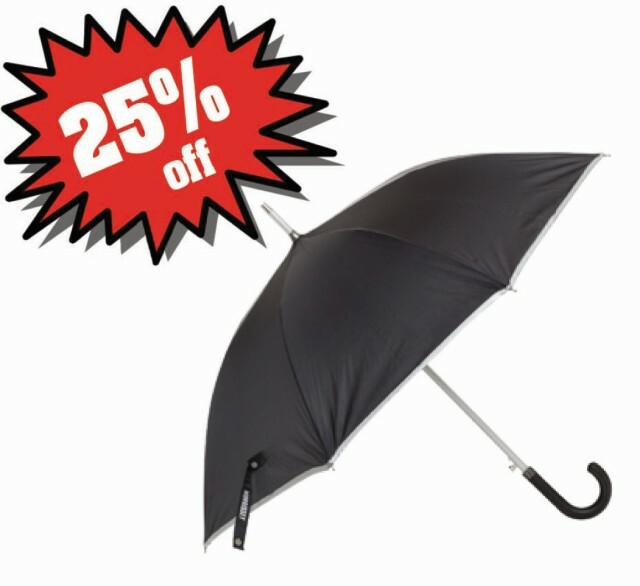 All items marked 25% off applies to orders delivered prior to March 31st, discount applicable on undecorated product pricing only (decoration and freight additional), strictly no holds or returns. CDIN03 - Standard Stubby Holder With Base And Taped Seam. Printed In Full Colour. Up To 1000+ Price. 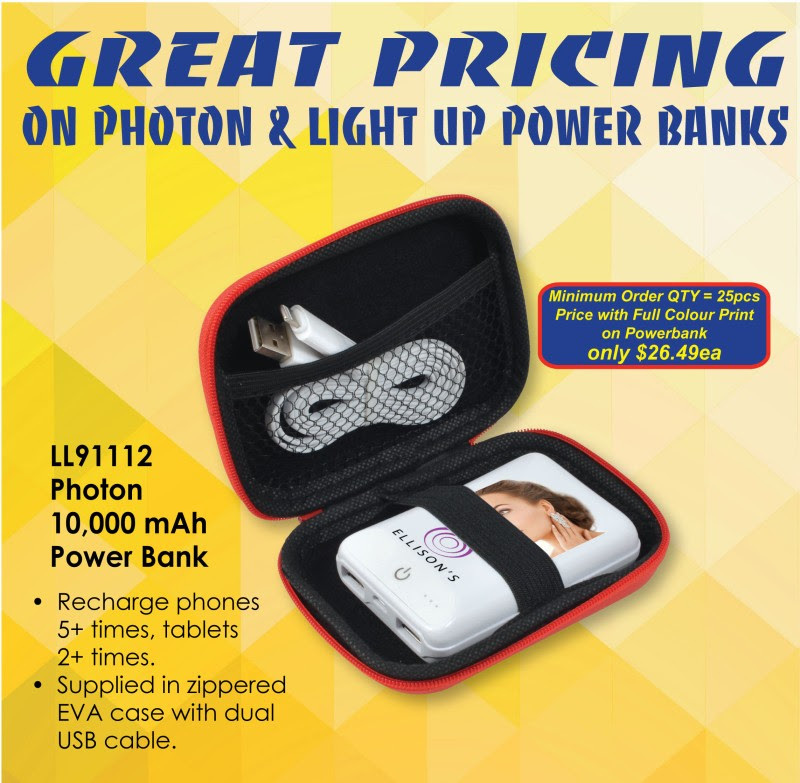 Offer Valid For The Month Of February 2016! Copyright © 2016 Vivid Promos, All rights reserved. 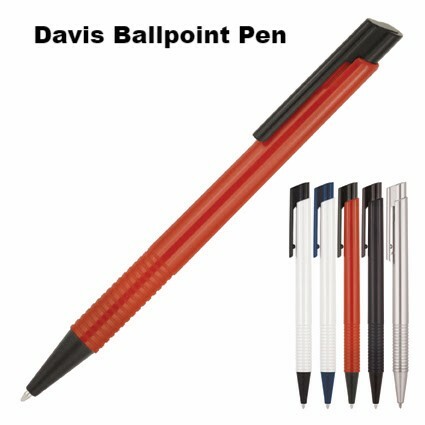 Great Deals on Pens, all year round! Vivid Promotions has recently added even MORE Printed Promotional Plastic Pens to our site.. it's not like we didn't have enough already but we can now offer even better prices on some great Plastic Pens! 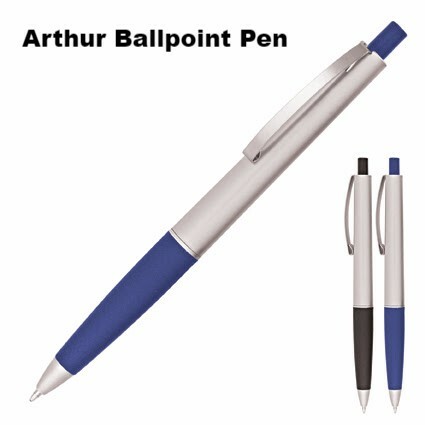 Branded Pens are always a great merchandise item for any promotion, event or even just to stock up your office. With a large range of Printed Plastic Pens available, we're sure to meet your deadline and most importantly your budget! Plastic Pens are the perfect way to get your brand out there whilst keeping within your budget- invest in a promotional product that will get your brand in the hands of many. 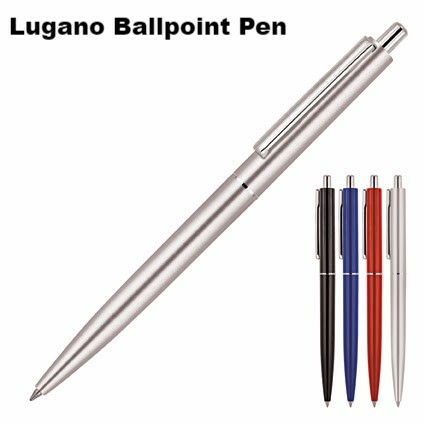 Caruso Ballpoint Pen: Grow your business even on a tight advertising budget with the affordable Caruso Ballpoint Pen. 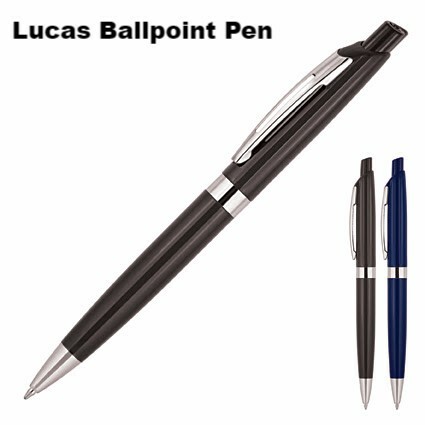 Perfect for high volume campaigns, the custom pen makes a great gift item for on the go professionals. 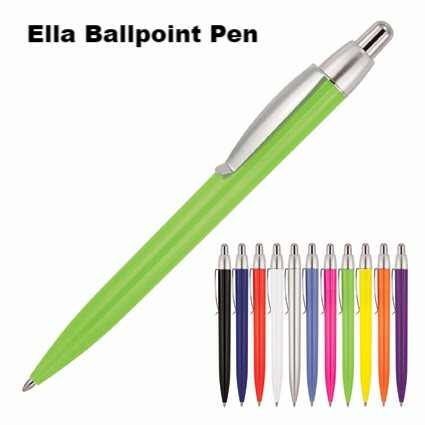 The pen is available in fun and striking colours with rubber grip and clip. Above pricing includes a 1 colour print in 1 position. 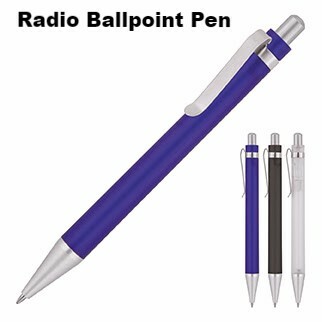 Rabbit Ballpoint Pen: Unlock your promotional campaign with a custom product suitable for any season. 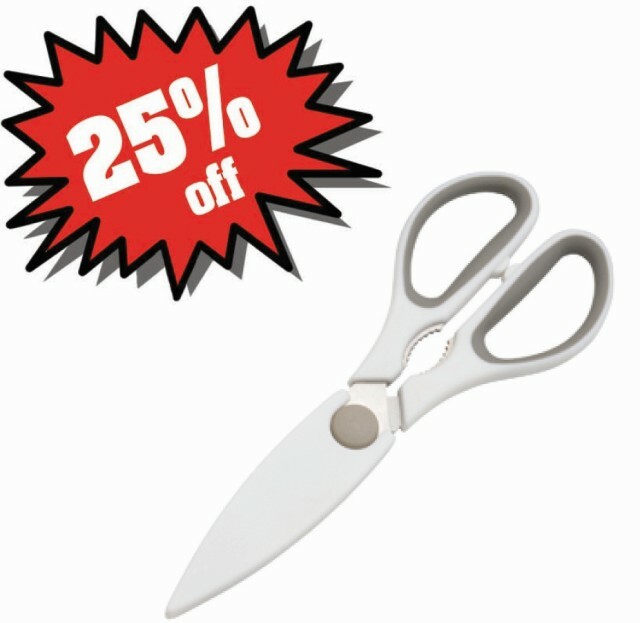 Available in a range of attractive color and boasting a sleek and slender design, the handy writing tool is your ticket to one successful campaign at an affordable cost. Above pricing includes a 1 colour print in 1 position. Promotional Pens always come in handy, whether at your desk, at home, out shopping or even in your car, a Printed Promotional Pen is sure to be used time and time again. 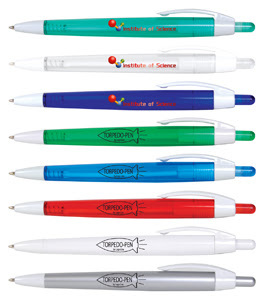 Vivid Promotions' offers high quality Promotional Pens at great prices and has many options to choose from. 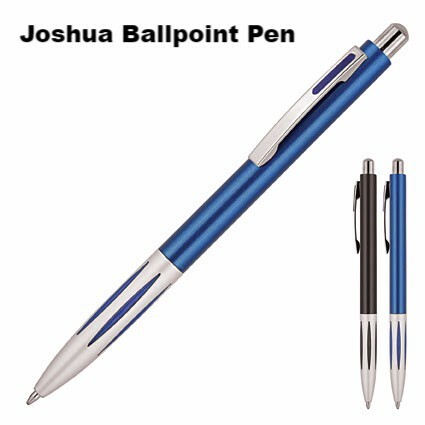 Personalised Plastic Pens, Branded Metal Pens, Wooden Promotional Pens, Printed Carbon Fibre Pens, Full Colour Banner Pens, Novelty Pens and more. Stock up on these handy merchandise items today and get your message out there! With hundreds of colours, shapes and sizes to pick from, we will always have a Printed Promotional Pen perfect for any event. With Promotional Pens being the most popular promotional product in the world, there's no wonder why they' re the most sought after product. They're simple, easy and cost effective. 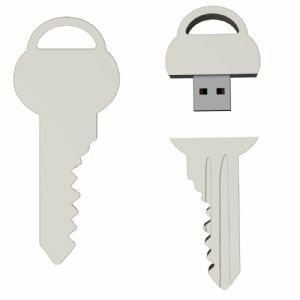 Choose a compact promotional product that can be packaged in so many different ways- as part of a gift pack, attached to a lanyard, on your key chain, in a corporate gift box and and plastic tubes just to name a few. 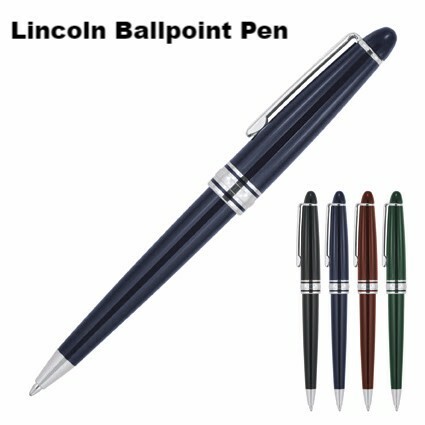 With so many different options available, you can customize your very own pen to be uniqely yours. 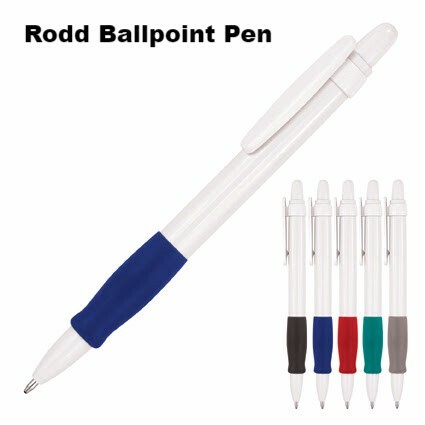 Contact Vivid Promotions today and get a quote on more of our stylish Promotional Pens. they dont we are right back to square on;eTquot;&her. 'es absolutely no chance of this ballot change being successful. The era of court challenges is over. Two months, y'all, and it doesn't look good. 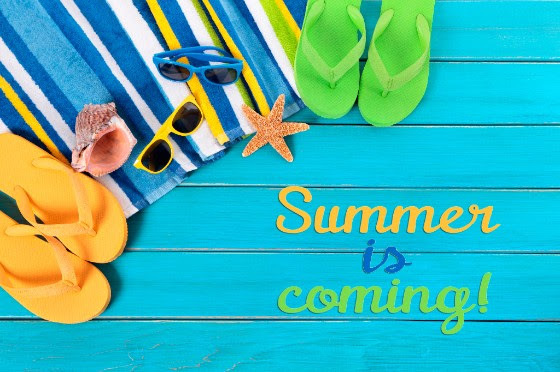 The middle of Summer is here and we've got some Hot Hot deals for you to take advantage of! Hot Deals for Summer 2016! Invece di puntare gli occhi sul fanatismo religioso, che Ã¨ opera di uomini che non credono in nulla, puntali su1o2#8&l7;Ulmo-Dio della Croce. Le divisioni e le guerre, i fondamentalismi e i terrorismi sono opere umane prive di raziocinio e di amore, sono barbarie e basta. Per costruire un futuro bisogna avere anche il coraggio di sperare. Anche davanti alle contraddizioni, al male senza senso e a uomini che dicono tante cose e non ne mettono in pratica neppure una virgola (politica). We have plenty of Calendars on offer to suit any budget. 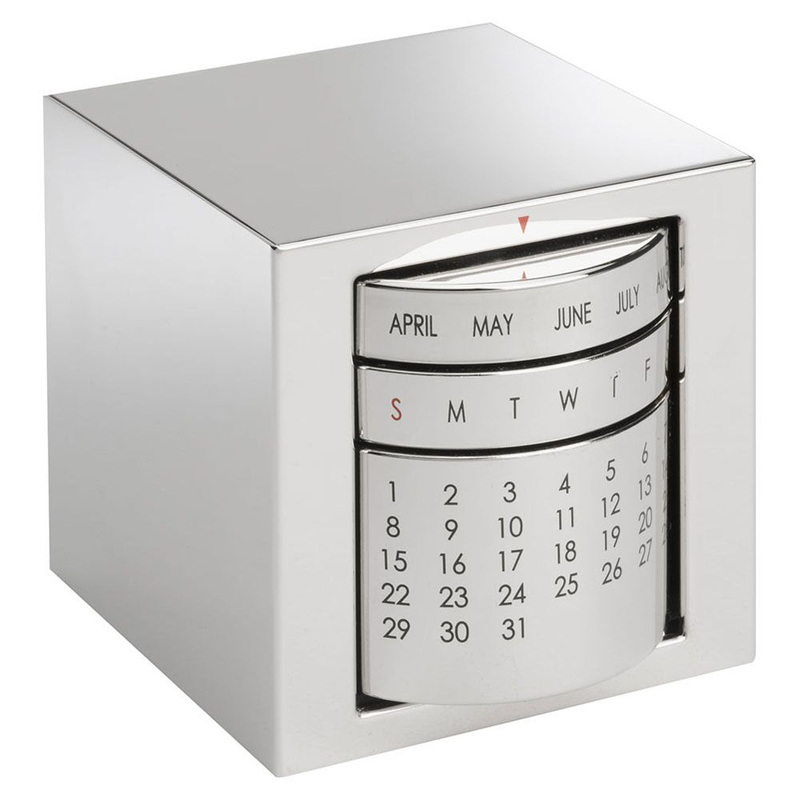 With plenty of sizes and shapes to choose from starting with your Basic Desk Calendar to your Fancy Perpetual Calendar. 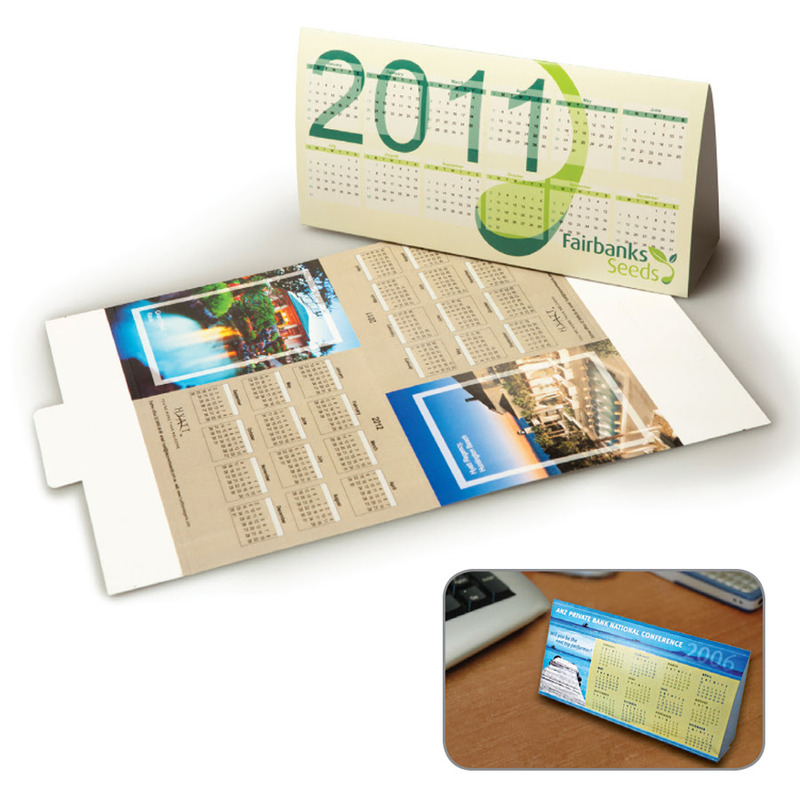 Shiny and sleek, this Perpetual Calender is bound to let your brand stand out from the competition. laksanakan la yg wajib walaupon anda hipokrit… nk tnggu ble lagi… tngu masa sesuai? ble mse yg sesuai tu? mcm juga bertudung untuk wanita… ianya wajib… anda tak suka cmne pon pakai tudung WAJIB pakai… biarla anda hipokrit pon pkai tdong kerana ALLAH perintahkan untuk benu;durg…t. Some last minute gift ideas that can be turned around in just 3-5 working days!! Both Keyrings can be customised with your logo or Christmas message and are a great low cost gift to hand out to clients and staff. Terms and Conditions: 'as low as' pricing is based on 2500 unit price break for both keyrings. Other pricing for different quantities can be viewed on the individual product pages. Discounted Pricing ends17/12/15 unless stock sells out prior to this date. 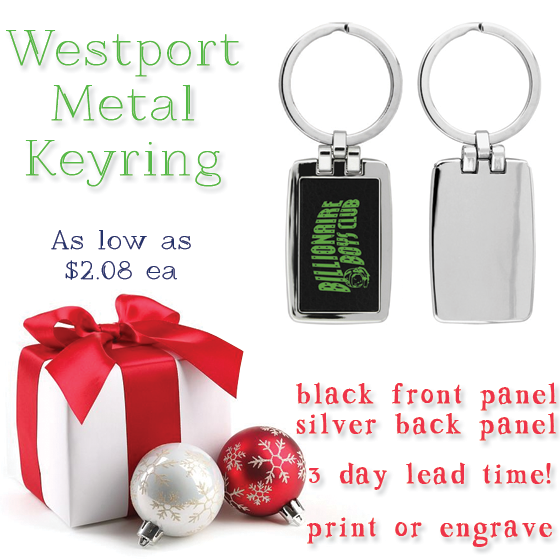 Keyring Sale pricing cannot be used in conjunction with any other sale, offer or discount. Standard lead time is 3 full working days for decoration plus transit time and order processing time. Mouse Mats and Screen Cleaners now on SALE! Click Here For 14 More Options! Click Here For 5 More Options! 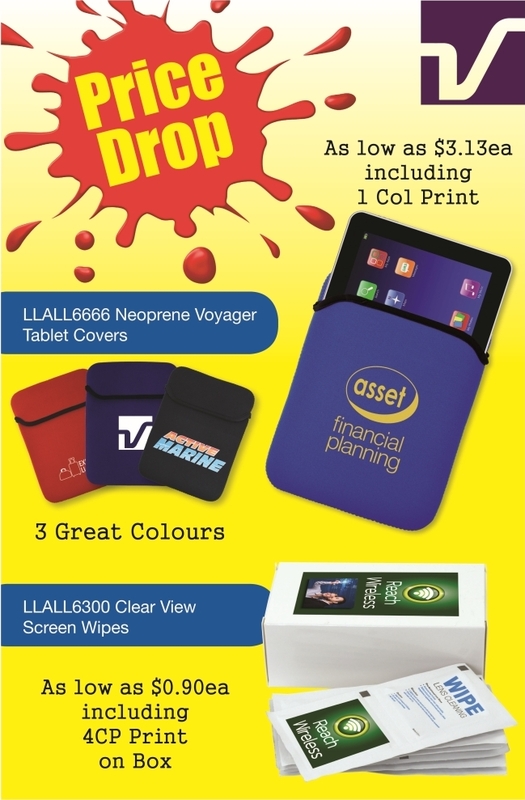 Vivid Promotions' latest SALE includes Promotional Mouse Pads and Micro Fibre Cleaning Cloths! Both of these low cost items are presented with a full colour print, allowing your brand to really stand out! 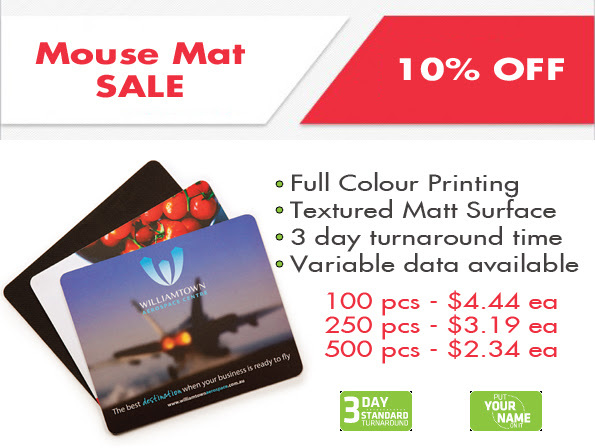 Promotional SALE Mouse Pads come in 15 different styles and sizes and the SALE Screen Cleaning Cloths come in 5 varieties. Contact our sales team for a quote and you'll receive 10% off the unit price until the end of October! Free shipping may apply to some products when being delivered to a metro area - simply send us your address and we'll check for you. Business Cards, Calendars, Magnets, Stickers, Temporary Tattoos, Sublimated Mugs, Notebooks,Bottled Water, Power Banks, USB Flash Drives, Coasters, Keyrings, Tote Bags and Pens! Above pricing includes 10% off the regular unit price. Additional charges may apply for packaging options and rush orders. SALE ENDS 29/10/15. All orders must be placed with payment by COB on 29/10/15 to receive the discount. 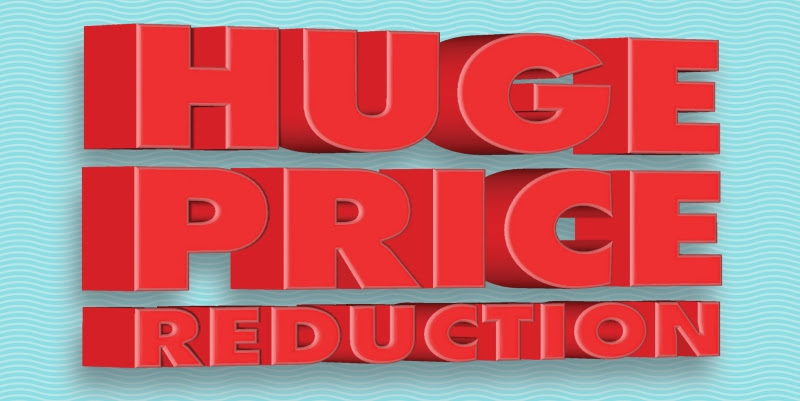 Discounted pricing cannot be used in conjunction with any other discount, sale or offer. 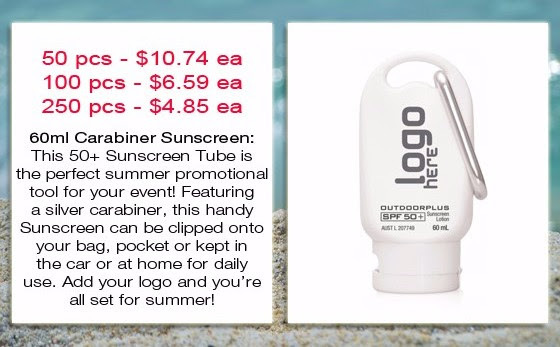 Get your Promotional Products ready for Summer! Creating a memorable gift is easy! Oxygen 800ml Drink Bottles, Pathfinder Duffel Sports Bag, Deluxe Body Gift Packs, Coloured Beach Towels, Maui Beach Umbrellas, Full Colour Stubby Holders, Printed Lip Balms and Lip Gloss,Promotional Frisbees, MP3 Speakers and Earphones, Silicone Wristbands, Plastic Stadium Cups andPersonalised Sunglasses. 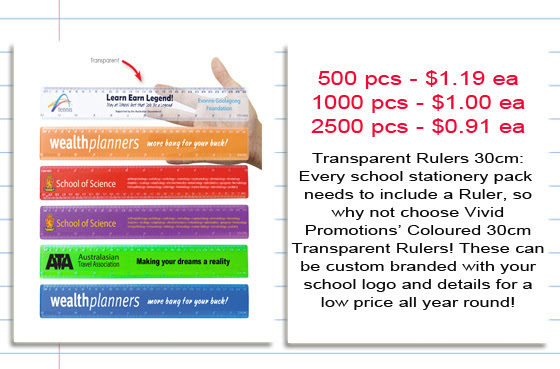 Pricing above refers to 1 colour printing on each item. For further decoration options, please email us for a custom quote. Pricing does not include gst or freight charges. If you are still after some more Promotional Ideas for Schools and Education related events, then the following are all great options and can be custom branded. 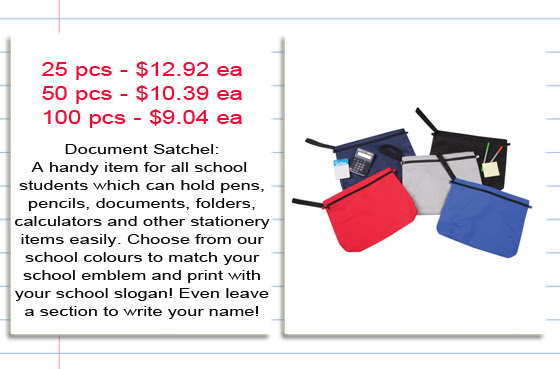 Promotional Backpacks, Embroidered Sports Bags, Lunch Cooler Bags, Promotional Calculators, Sun Safety Hats, Customised Lanyards, Notebooks and Notepads, Colouring Pencils,Branded Erasers and Sharpeners, Novelty Stress Toys, Promotional Sunscreen,Customised USB Sticks and Custom ID Tags and Badges. NOTE: Pricing displayed does not include GST or Shipping. These costs are additional and can be provided in a written quote. 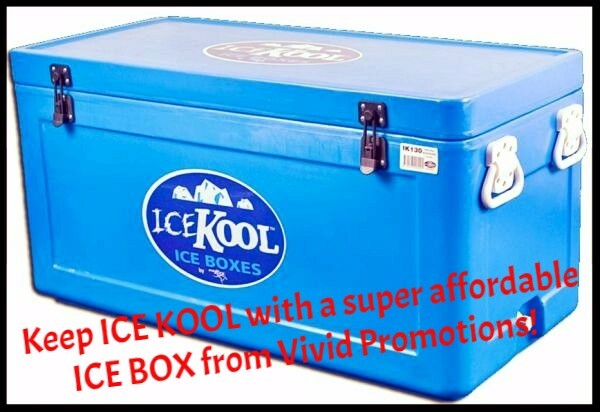 Please contact Vivid Promotions for further pricing and enquiries on any products. 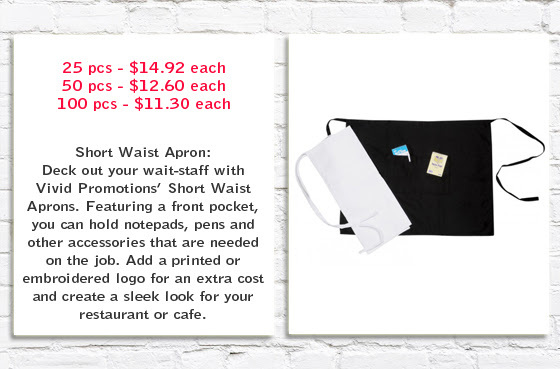 Promotional Products for the Hospitality Industry! Jot down orders with ease! Vivid Promotions' Cafe and Restaurant related merchandise items include Printed Napkins, Promotional Mugs, Notepads, Engraved Waiters Friends and Bottle Openers, Full Colour Coasters, Ice Buckets, Labelled Bottled Water, Chef and Wait Staff Uniforms, Printed Glassware, Plates and Bowls and Serving Platters. All of these items can be decorated with your business logo and can generally be turned around within 2-4 weeks! Contact us today with your ideas and make them a reality. Thanks guys.Mooney, yeah, i should be meiessr with the pages. Completely meant to be, but they just ended up cleaner for some reason. Guess i just find it harder to do with the sequential pages rather than one-off illustrations. Fresh Ideas for Councils and Government Organisations! For a number of years Vivid Promotions has provided multiple Councils around the country with their Promotional Products for different events, to hand out to the community and to raise awareness on various new programs. Below are the top picks for Councils so far which can all be custom printed with your council logo, message and details at a great price. Whether you're planning for your 2016 promotions or simply needing something for an upcoming event, we have you covered! 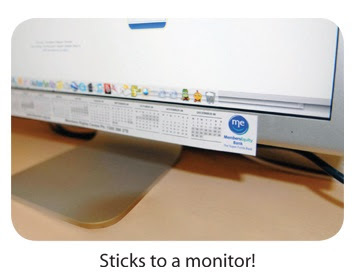 Large Magnetic Tab Calendar: Give your shire a Promotional Calendar that they can stick to the fridge and use every day! Perfect for councils to hand out in their local area so that the community can keep track of bin days, school holidays and other special dates throughout the year. You can add your logo in full colour and choose all of the details that are printed onto this handy 148mm x 210mm Calendar. 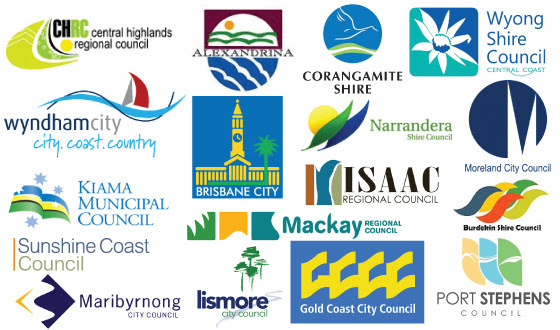 Choose from our standard shape or a shape of your own to match your council branding. Water Saving Shower Timer: This handy Shower Timer is ideal for water saving initiatives through local governments and councils! Available with either blue sand in a white timer or pink sand in a pink timer, you can customise this item in 3 different locations. Teach adults and children alike about reducing shower times and conserving water with every wash! 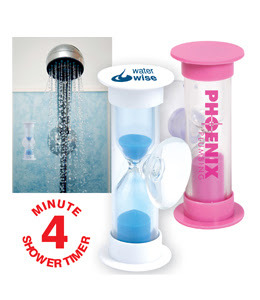 Simply attach the timer to your shower via the suction cap and rotate to start the 4 minute countdown. 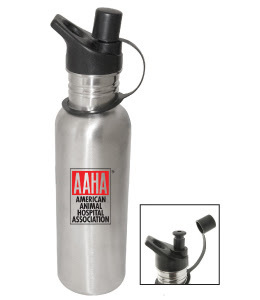 What a neat and affordable merchandise item that promotes your council values and saves water at the same time! Doggie Waste Bag Holder: Keep your parks and walking tracks clean by picking up after your animals. 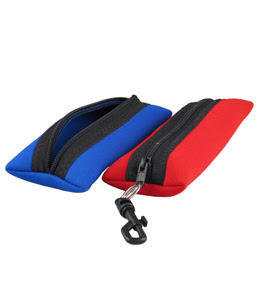 Vivid Promotions' Doggy Waste Bag Holders are great accessories to clip onto your belt loop or key chain when out for a walk with your pooch. 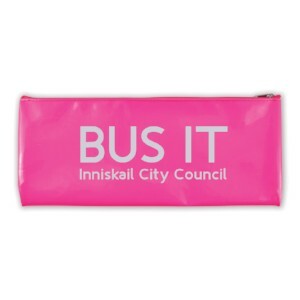 Made from 2mm neoprene, the waste bag holder has a large print area on the back for your council logo and website in 1 colour. We can also offer full colour printing at an extra cost. Choose from a wide range of colours to match your branding and hand out to all pet owners in your shire. 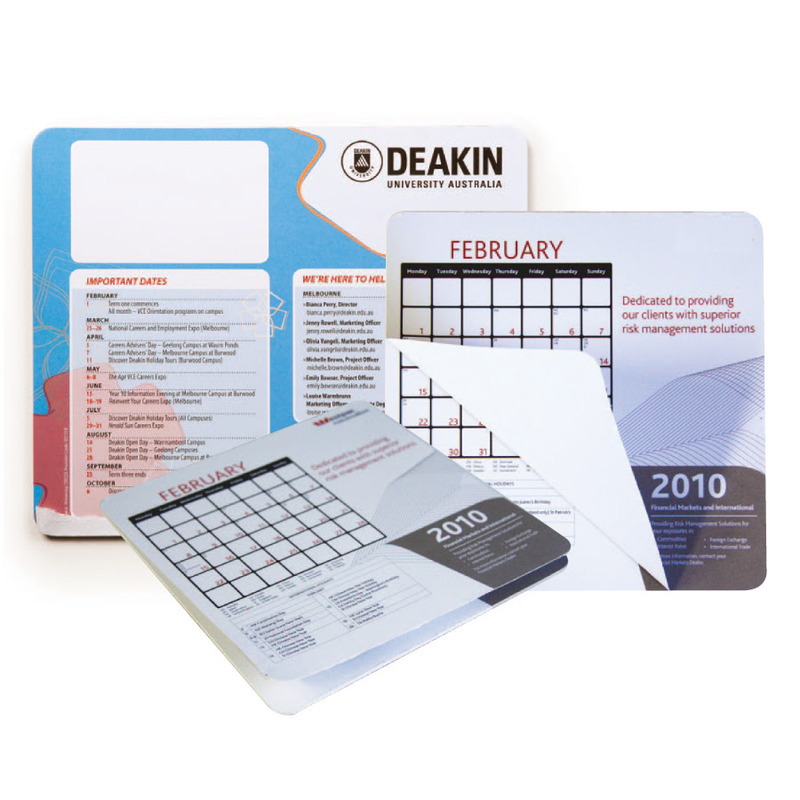 Promotional Desk Calendar: Keep track of important dates with our practical Desk Calendars. Create your own unique calendar by customising the whole thing including colours, fonts and images! 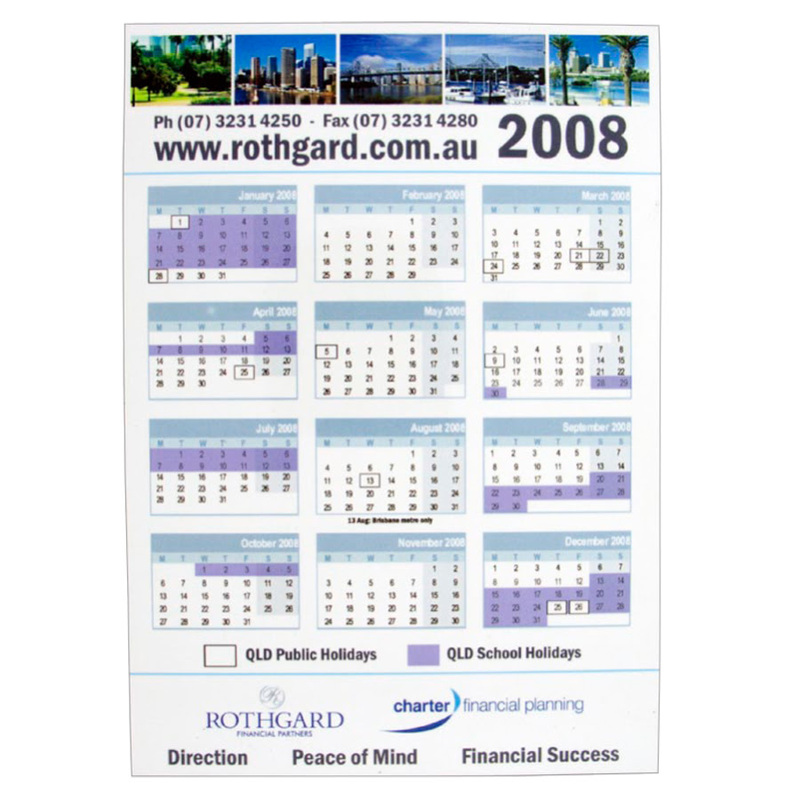 Include School Holidays, Council Events, Public Holidays and other dates and simply prop up on your desk to be viewed every day. 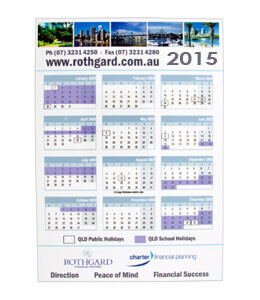 Supplied flat, this Desk Calendar can easily be mailed out to council members and your local community as a low cost gift every year. 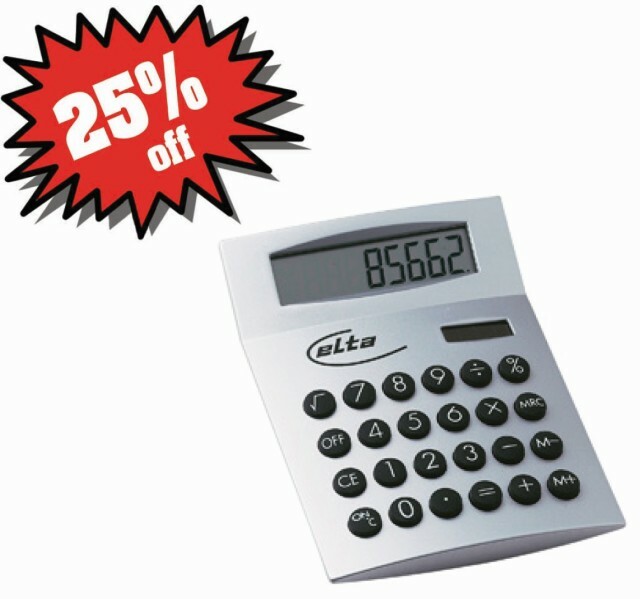 At the size of 215mm x 110mm it is the perfect desk accessory for any home or business office. Promotional Car Sunshades, Printed Cooler Lunch Bags, Budget Tote Bags, Customised Balloons,Bottled Water with a Full Colour Label, Coffee Mugs, Promotional Seed Sticks, Branded Drink Bottles,First Aid Kits and Supplies, Lanyards, Fitness Related Products, Children's Colouring Pencils,Promotional Pens, Dog Collars and Leashes, Promotional Sunscreen, Customised Umbrellas and Raincoats and Wristbands and ID Products. IMPORTANT NOTE: Pricing does not include 10% GST or delivery charges. It is one thing to speak your mind in person, and quite ahonter to put things in writing. 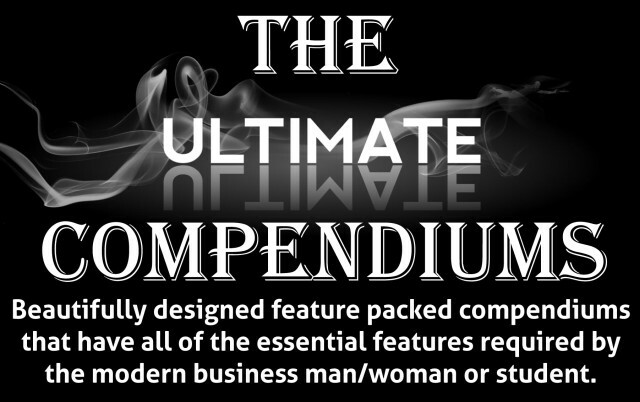 You\'ve Succeeded in making this topic easily understandable, interesting and easy to read. If you're in the Construction Industry, then we have some great products for you! 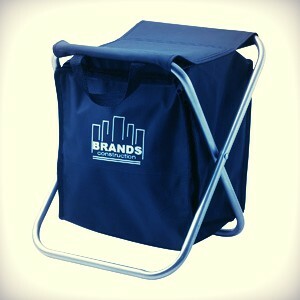 Vivid Promotions stocks a wide range of promotional products that are suited to the building and construction industry. Our growing client base largely consists of building and construction companies so we thought it was about time to share some of our most popular sellers for this industry! 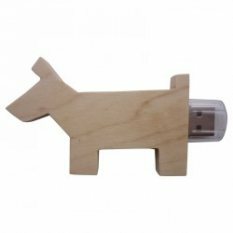 We have handy Carpenters Pencils, Tape Measures, Notepad Sets and In Car Phone Chargers which can all be custom branded with your business logo. These popular items are all available at fantastic prices and can be turned around within just 2 weeks! Check out the below products and contact us today for more info. Printed Carpenters Pencils: A must have item on any job site is of course the trusty Carpenters Pencil! Vivid Promotions stocks a range of Unsharpened Carpenters Pencils in colours such as Red, Yellow, White, Natural, Green and Black. 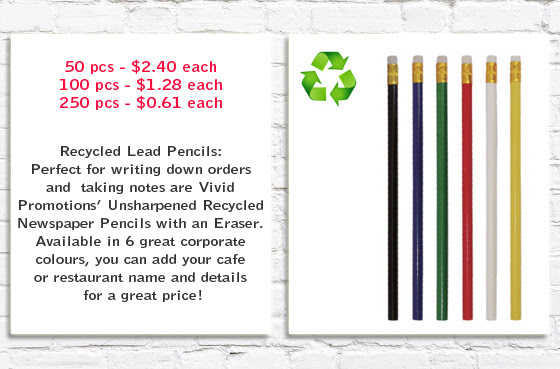 All of these can be decorated with your business name or logo and are a great budget giveaway. 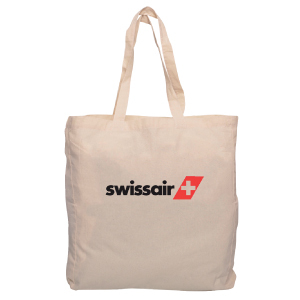 Choose a merchandise item that is practical and can be used for a long time, allowing your brand maximum exposure. These Carpenter Pencils are ideal for tradies, building industries, mining industries and anyone in construction. Tradie Recycled Notepad with Pen: Note taking has never been easier with Vivid Promotions' Recycled Tradie Notepad and Pen Set. Featuring 60 lined pages with perforations and a recycled black ink pen, this compact Notepad Set is perfect for all tradies! Choose from 4 great colours to match your logo and add a full colour label for branding. 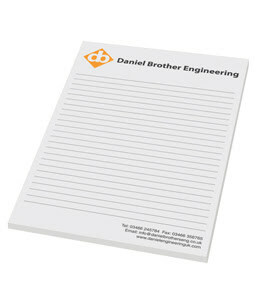 We can also offer direct printing on the notepad and pen for an extra cost. 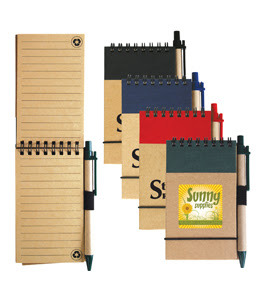 The elastic straps holding the notepad closed and the pen on the side keeps everything neatly together when not in use. 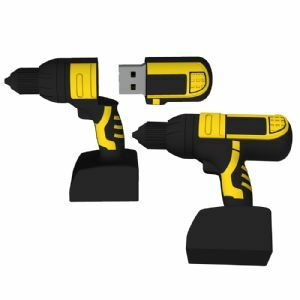 Use this product on the job site for measurements, notes and more! 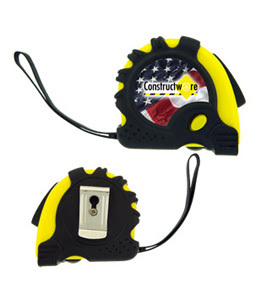 The Carpenter Tape Measure: This 5 metre Tape Measure is a great promotional product for many job sites. Featuring a belt clip on the back, wrist strap and push to lock system, it has everything you need. Add your logo in full colour on the front of the tape measure and promote your brand every time the item is used. With a quick turn around time of just 3-5 days, this Carpenter Tape Measure can be done in time for every event and last minute campaign. Provide your staff with a low cost item they can use on a daily basis. Ideal for building and construction businesses. 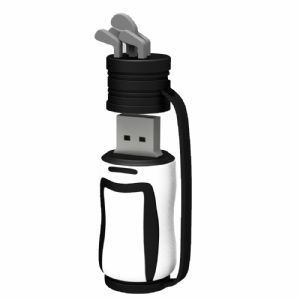 Dual USB Car Charger: Keeping connected when travelling to different job sites is important and Vivid Promotions has just the product to keep everyone in the loop! 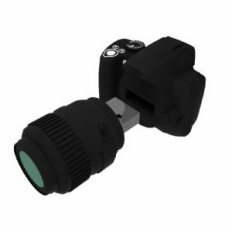 The family Light Up Dual USB Car Charger features two usb ports which allows you to charge both your phone and tablet device at the same time. 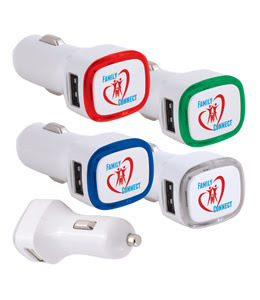 With a low minimum of just 25 pcs, you can deck out all of the company cars and have these handy little chargers printed with your logo.With 4 different light up colours to choose from, we can always match to your brand. Ensure your devices are charged and ready to go with every job! 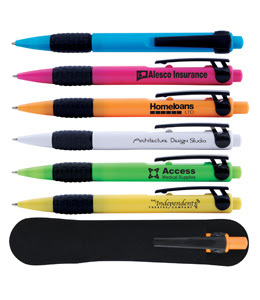 Enhance your brand by choosing promotional products that promote your business and theme. When it comes to the Building Industry, there are plenty of options that relate to the industry and can be customised with your brand. Vivid Promotions' sales team has plenty of ideas to share, just call us today for some inspiration! Check out these Building and Construction Products for your next event: Anti Stress Bricks, Hard Hat Keyrings, Spirit Level Pens, Multi-Tools, Engraved Leathermans, Hi Vis Workwear, Cotton Drill Shirts,First Aid Kits, Stubby Coolers, Post-it Notepads and much more! 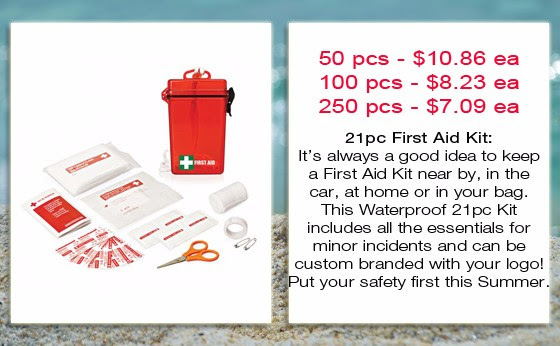 Add your business logos and details on these items and hand out to staff and clients. hey there, this might be little opftofic, but i am hosting my site on hostgator and they will suspend my hosting in 4days, so i would like to ask you which hosting do you use or recommend? 10% off the unit price on a wide range of Products! 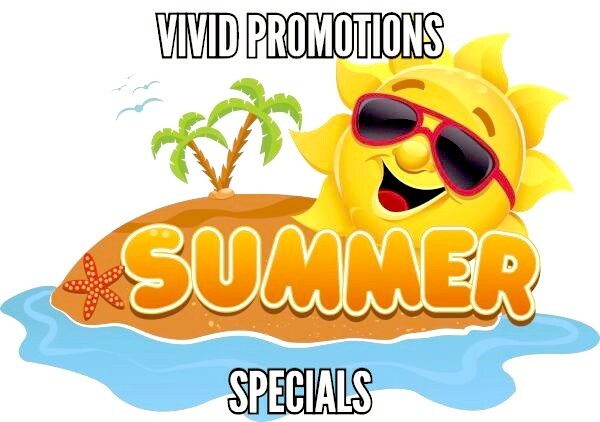 Vivid Promotions is offering HUGE Discounts on over 530 Promotional Products! With 10% off the unit price on each of these 530+ products, we're sure you'll grab a great deal for your next promotion or event! Choose from branded merchandise items such as Multi-Tools, Tape Measures, Tote Bags, Bottle Openers, Calculators, Plasters, Frisbees, Carabiners, Beauty Products and much much more! Below are our 5 most popular categories which have multiple options to choose from and decorate with your logo and corporate colours. 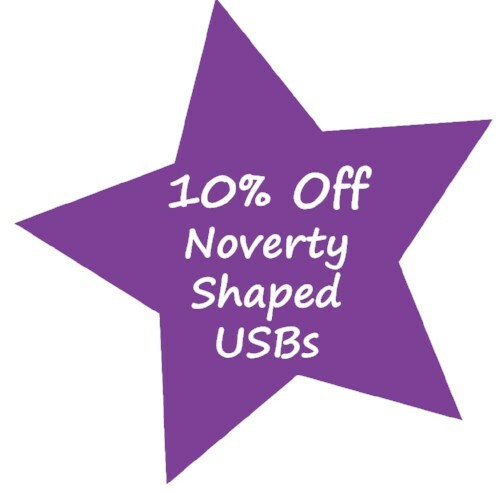 There really is something for everyone with this 10% off sale! CLICK HERE to view all of the items included in this special sale and get in while stock lasts! 10% off sale ends 27th of August 2015. All orders must be placed and paid for by COB on this day to receive the discount. Please contact Vivid Promotions for any further information and questions regarding this sale. Niice. Ha278&#nv1e;t taken mine out in the snow yet, but seeing as I haven’t replaced the stock summer tires, not sure I am going to, haha. Such a great car. I agree I think that she\'s the little girl that was kipapnded from the tailies camp. I think that\'s the same outfit she had on plus carrying a teddy bear. I\'d have to go back to my S2 DVD and look.. but to me it does look like her. Alot. Who doesn't love a Macaron! 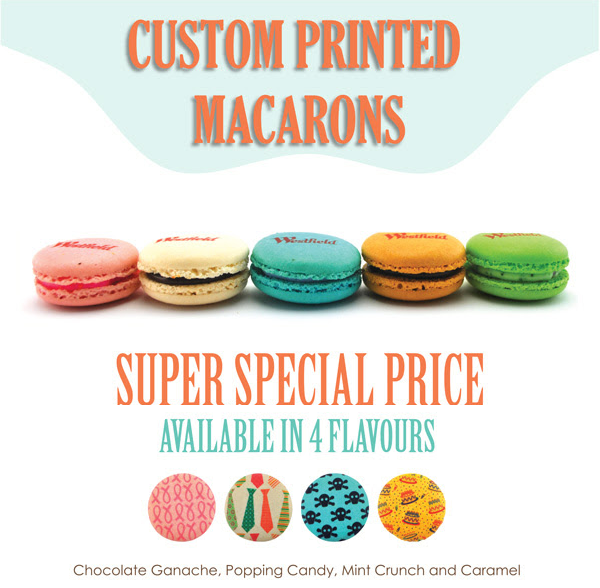 Vivid Promotions' popular Macarons are now on SALE and are available with a full colour print and are individually bagged. These tasty little promotional products are a fun idea for cafes, coffee shops, gifts with purchase or simply just a memorable way to promote your brand! The sale includes our 4 most popular flavours as listed above and you can mix the flavours with a minimum of 50 per flavour. With a quick turnaround time of just 2 weeks, these custom made to order Promotional Macarons are a real treat! 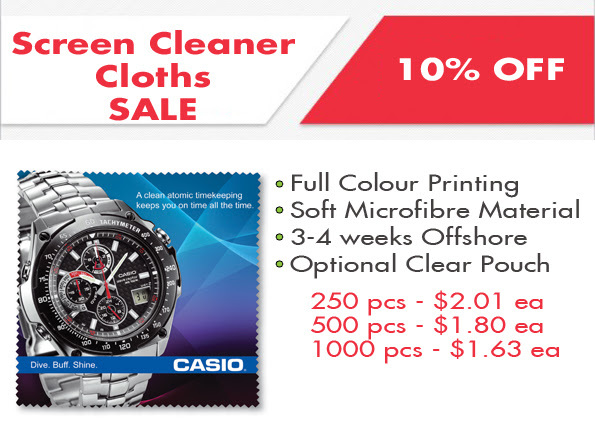 Check out this sale before it ends on the 30th of July 2015. T&C's: Offer not available with any other sale or discount. Minimum of 50 pcs per flavour. Please note: we are unable to print the colour white on the macarons. Sale ends 30/07/15. FREE Pens! Buy 1, get 1 free! 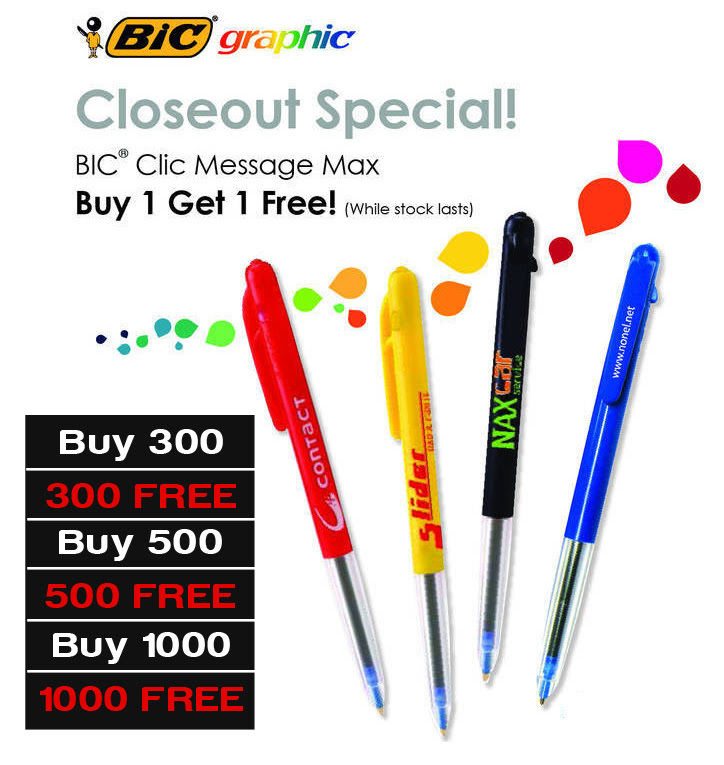 Currently on Close-out SALE are our popular Bic Clic Pens! Sale pricing includes a 1 colour print, 1 position and you can choose from either blue or black ink. 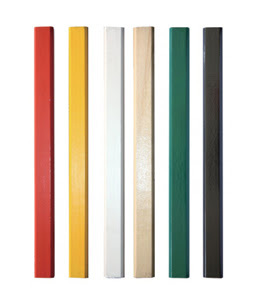 Stock colours are Red, White, Yellow, Dark Green, Navy, Royal Blue, Black and Silver. Once stock has sold out, this product will be discontinued so get in quick and don't miss out on this crazy deal! Minimum 300 pcs and it's Buy 1, Get 1 Free. Which means you get the same qty again for FREE! Offer ends once stock has sold out. Please contact our sales team with your colour and ink choice prior to ordering to ensure we can meet your requirements. 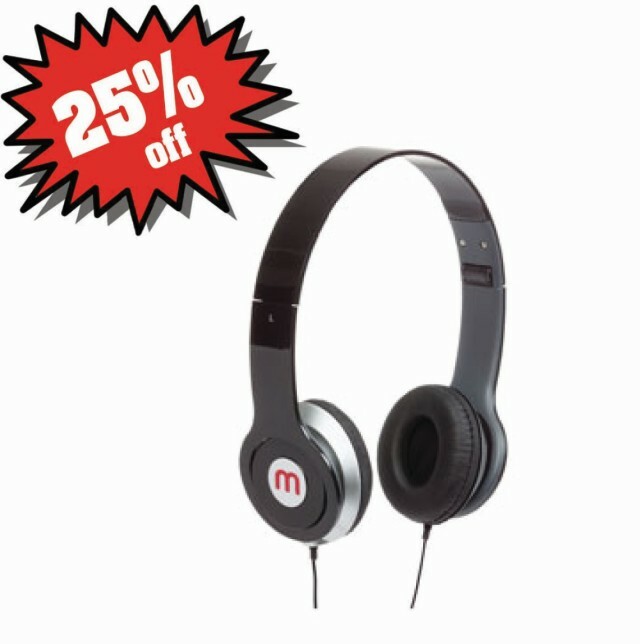 This offer cannot be used in conjunction with any other sale, discount or offer. 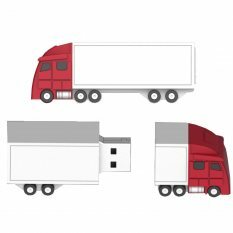 GST and standard freight charges will apply to all orders. Mid Year Uniform Sale on Now! Our mid-year sale includes some great deals on uniforms and caps which can be embroidered with your business logo. Check out our Cotton Front Truckers Mesh Cap and our Trim Polo Shirts and pair them together for a stylish uniform. Be quick as this sale only lasts until the 9th of July! Cotton Front Truckers Cap: Promotional Truckers Caps are popular merchandise items for a wide range of promotional campaigns and events. Embroidered Truckers Mesh Caps can also be given away or worn as a uniform. This Cap features a cotton front which is ideal for embroidery and our current sale includes up to 7000 stitches at a great price! 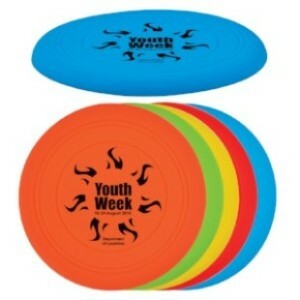 Choose from various colours to match to your corporate colours and hand out or sell in your store. Men's Trim Polo Shirt: Custom Embroidered Polo Shirts are perfect uniforms for sports organisations, warehouse workers and general office wear. Vivid Promotions' Trim Polo Shirts are available in a number of colours and can be embroidered in various locations to suit your brand. Our current sale includes embroidery in 1 position for up to 7000 stitches. 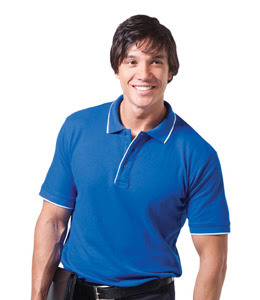 Made from 35% cotton and 65% polyester, this Polo Shirt is ideal throughout all seasons. We also have a women's version at the same price. The middle of the year is a great time to look at what stock you have, check out what's running low and call us to organise a new order! Vivid Promotions has a great range of Promotional Pens, Notepads,Desk Accessories and Stationery Items, Business Cards, Ceramic Mugs, Drink Bottles, Stickers andClipboards which are essential office items. When you see merchandise cupboards a little bare, simply give us a call and we'll be happy to help! During the winter months, it's also a nice idea to look at someJackets and Jumpers, Beanies, Scarves and Gloves for your Winter Uniforms - all of these items can be branded with your company or team logo too! Let us know what works best for you or have our experienced sales team recommend some promotional products to perfectly suit your target market, budget and theme. Call us on 1300 72 70 92.
and why is it on every busy crazy holiday or wedding or whatever.. your dear family calls just to ask “so how’s it going? are ya bus?8y&#?221; God bless them for their genuine interest in me and my business, but seriously?? you needed to ask me that RIGHT NOW??? Amazing Camilla! Thanks for sharing some pohtos. The exhibit looks beautiful. Your special add on is a very fun, special touch. Best of luck with the show! End of Financial Year SALE on Pens and Notepads! For the month of June, Vivid Promotions is offering fantastic deals on Pens and Notepads to see you through the second half of the year! Team our Plastic Pens with some Personalised Notepads and hand out around the office, use at home or mail out to clients at a low cost. With various pen colours to choose from, we can match your corporate colours and our notepad sale is on 2 colour designs so that you get the most out of the branding area! Printed Torpedo Pen: The sleek design of the Printed Plastic Torpedo Pen gives it a great look and has a nice clean branding area for your logo. 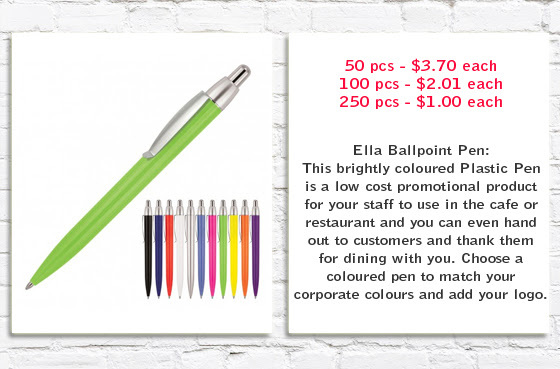 Now on SALE, you can choose from 8 great corporate colours and decorate with your 1 colour logo. We can even add a full colour print to the barrel for an extra charge. With a simple push top design and a handy clip, this black ink Torpedo Pen has all the classic features you need. 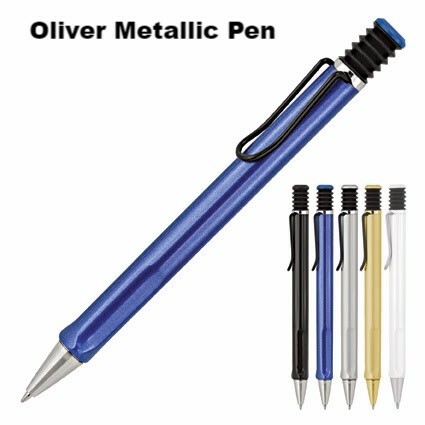 Styb Dolphin Pen: Another great Plastic Pen currently on EOFY SALE is the Styb Dolphin Ballpoint Pen. 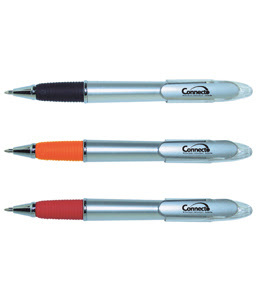 Choose from 3 corporate coloured grips with a stylish silver barrel and clip. You can print on either the barrel or clip on lid for the above price with your 1 colour logo which will generate great brand exposure. 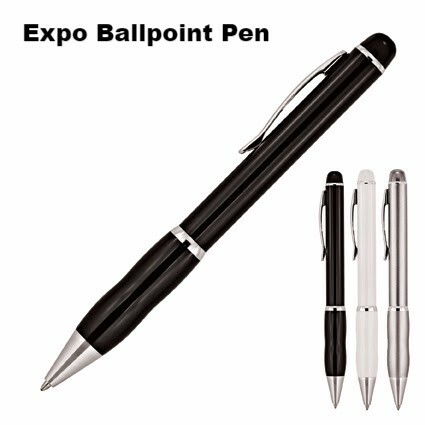 Add a pen to your giveaways, include in a show bag or hand out at conferences or brand launches. There's always a use for a promotional pen! 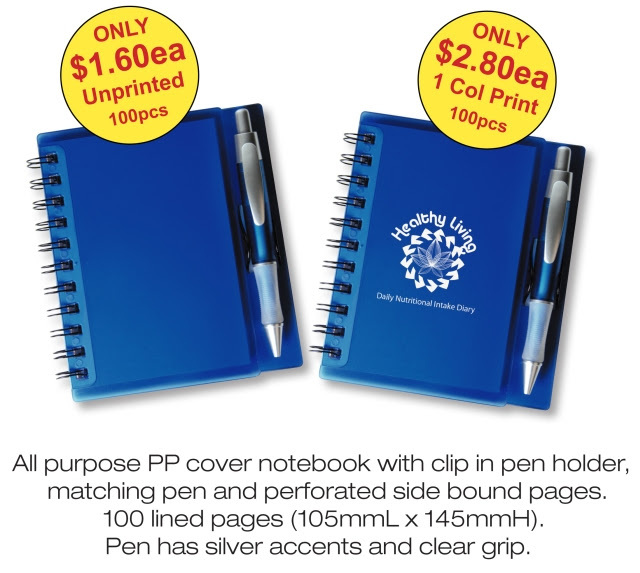 A5 Writing Pad: Give your clients a handy desk set and pair one of our Pens with a Promotional Notepad! These A5 Notepads are also on sale with a 2 colour print! The plain pad is a great backdrop for your logo and business details and you can even add lines in your design. Featuring 50 leaves that are attached to the strawboard backing, this practical Note Pad is ideal for any office and will be used daily! A4 Writing Pad: An essential desk accessory that everyone should have is our A4 Writing Pads. 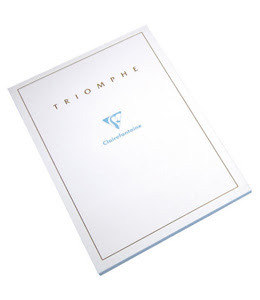 These Notepads are plain white which allows you to fully customise the pad with your logo, business details and other designs. Our Special SALE pricing is on a 2 colour logo so that you get more bang for your buck! 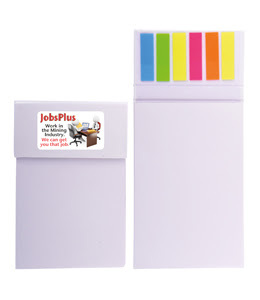 Promotional Writing Note Pads are great low cost giveaways at seminars, conferences and general office use. Featuring 50 leaves, this A4 Notepad is suitable for just about every campaign! The end of the financial year is the perfect time to stock up on office and stationery supplies with the help of Vivid Promotions! Whether you're running low on office essentials such as Pens, Notepads, Business Cards or Flyers or are a Government company and wanting to get the best use out of your remaining budget, we're here to direct you on the right promotional path! Contact us today with your requirements and budget and we'll be more than happy to assist in finding you the right advertising material for your business and campaign. **SALE ENDS 30TH OF JUNE 2015** Discount cannot be used in conjunction with any other offer, sale or promotion. Great interview. My father (in his 80s) is currently reading all of Shrsekpeaae, something he's always wanted to do but never took the time for. He's about halfway through the plays.I have read Shakespeare, but definitely not the complete works. lannis - What a beuiauftl wedding session. I am so happy for Natalie. She was always so much fun to have around when you were kids. I loved this session Ashley you really captured the joy. BRAVO! 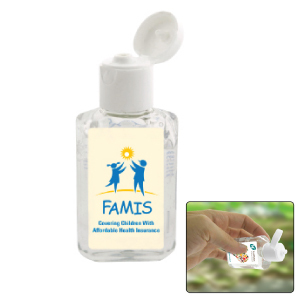 Promotional Hand Sanitizing Products are a must have this Winter! Vivid Promotions Hand Sanitiser Gel is a great little item to use on a daily basis. 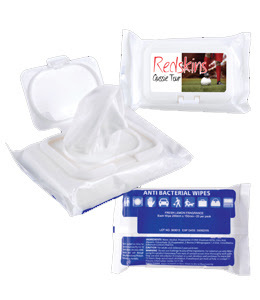 We also have Antibacterial Wet Wipes which come in a handy packet for easy use. 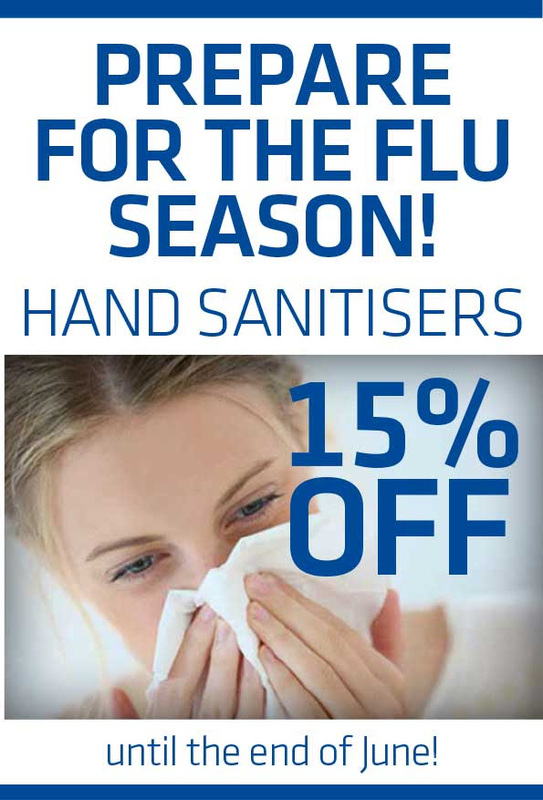 During the Cold and Flu Season, it's important to keep your hands clean and free from germs and Vivid Promotions' Hand Sanitising Products will surely do the trick! Check out our below SALE pricing today! 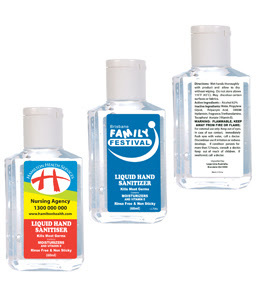 60ml Hand Sanitiser: Promotional Liquid Hand Sanitiser is a great low cost giveaway throughout Winter! Keeping your hands free from germs, this 60ml Sanitiser Bottle is available with your full colour logo on a label for great brand exposure. 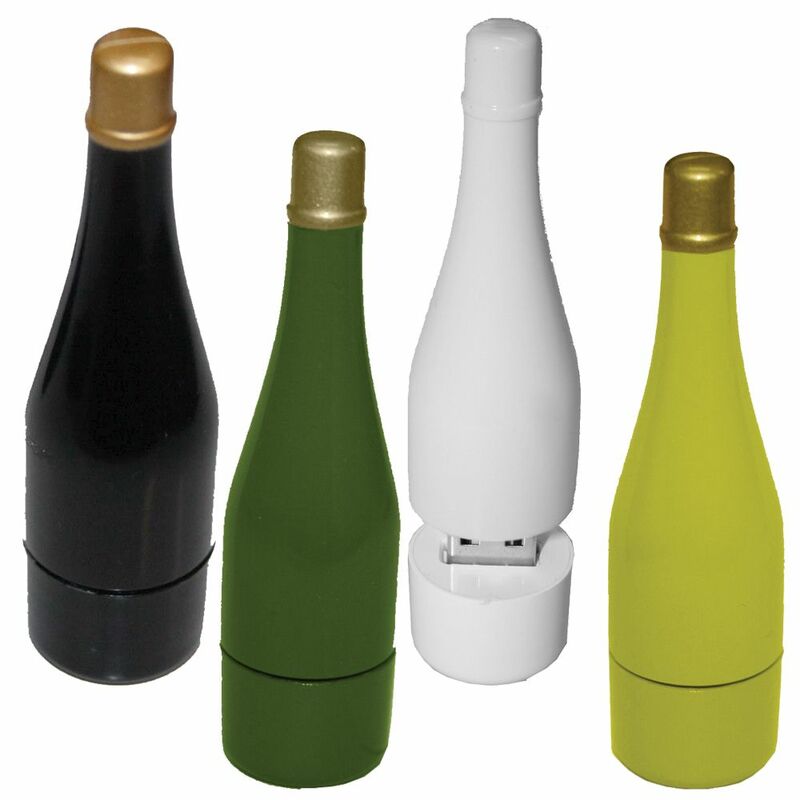 The compact bottle size allows you to conveniently keep in your bag, car or on your desk for every day use. Take advantage of our Winter special and place your order today! Anti Bacterial Wipes in Pouch: Ideal for those on the go are our Compact Wet Wipes Pouch, which contains 20 citrus scented hand wipes. Add your full colour label to the lid which allows your brand to be seen with every use. Currently on Sale, these Antibacterial Wet Wipes are great for handing out in the office, can be kept on your office desk or given away in a gift bag. Keep your work station germ free during Winter and grab a bargain! Heating up your promotional game this winter is easy with Vivid Promotions' range of merchandise items! Whether you're looking for a winter uniform, cheap giveaway or something to hand out at a product launch, we have you covered! Take a look at our Embroidered Beanies, Scarves, Gloves, Promotional Outerwear, Branded Tissues,Herbal Tea, Printed Hot/Cold Packs, Wrap Print Coffee Mugs, Coffee Travel Mugs, Promotional Lip Balms and more. Excellent report and easy to untensdard explanation. 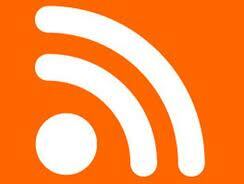 How do I go about getting permission to post part of the article in my upcoming newsletter? Giving proper credit to you the article author and hyperlink to the site would not be a problem. 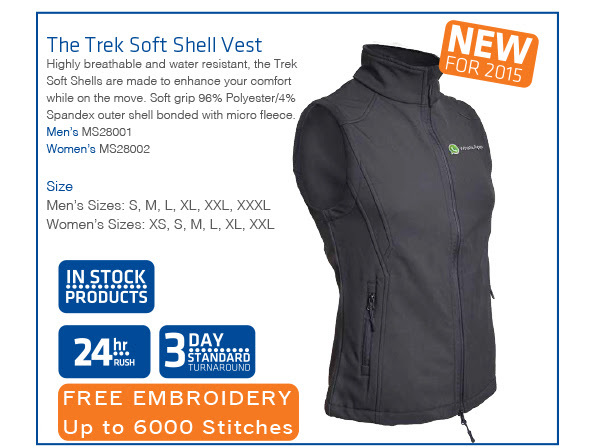 Vivid Promotions Soft Shell Trek Vests and Jackets are great merchandise items for schools, clubs, gyms, sports groups and anyone wanting to keep warm this Winter! For a limited time only, we are offering FREE Embroidery for up to 6000 stitches - so contact us today with your logo to see if it falls within 6000 stitch mark. 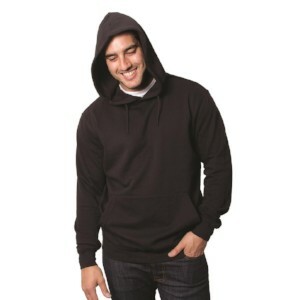 Available in men's and women's sizes, Vivid Promotions Winter Wear caters for all. Made with a polyester and spandex mix outer shell and micro fleece inner, the Trek Vests and Jackets are super comfy and stylish! Send your logo to sales@vividpromotions.com.au for checking. If your logo is over 6000 stitches, additional charges will apply. This offer ends on the 26th of June 2015 and cannot be used in conjunction with any other offer or discount. OH I LOVE this one!! It\'s just beautiful!! I think you made the right chcoie! I love that they are so involved with each other, and seeing only each other, that they are totally ignoring the camera! It\'s a BEAUTIFUL image! Very well done! Fontgombault !What an inspiration. It must be quite wofenrdul to be called to this life of prayer and austerity.Oh, to be young enough and fit enough to be able to spend all the days of one\'s life like this.Coincidentally, I am re-reading the acta of the liturgical congress held at Fontgombault in 2001.The acta are published in the \"journees liturgiques de Fontgombault 2001\"I believe there is an online version in English of some of the papers presented at the congress, notably that of Josef Cardinal Ratzinger on the liturgy.I don\'t know where the website is, but I would suggest google for Fontgombault 2001, and you should find it. 1. )Theses students are sneakipg as if they are getting paid for the case.They really know what they are talking about and take pride in the material.2. )They are standing straight with pride,like they are actual attornys.3.) You must know your lines, make good arguments, and use facts from the witness statement! Large Bottle Opener Keyring: Now on SALE are our popular Large Bottle Opener Keyrings with engraving! 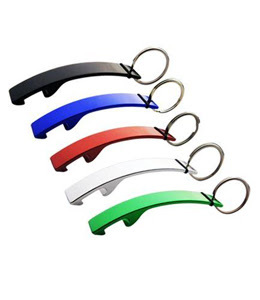 Choose from 5 corporate colours and laser engrave your logo or message onto the bottle opener at a great price! Pefect for wedding favours, low cost giveaways or a gift with purchase, this handy Bottle Opener Keyring is a must have merchandise item. Square Chrome Keyring: Looking for a classic style keyring that you can hand out to clients for a low cost? 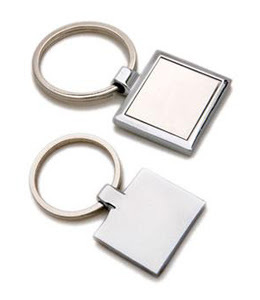 Then Vivid Promotions' Metal Square Key Chain is the product for you! 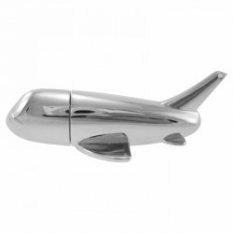 With chrome accents, this shiny metal keyring adds a corporate look to your brand and you can add your logo or engraved message for the great prices above. Currently on SALE! Carabiner Torch Keyring: Vivid Promotions is offering crazy low prices on our LED Light Carabiner Keyrings! Our SALE pricing includes laser engraving and we have 3 great colours to choose from. Promotional LED Torch Keyrings are a great addition to you key chain and can help to brighten up any campaign! Contact us today! 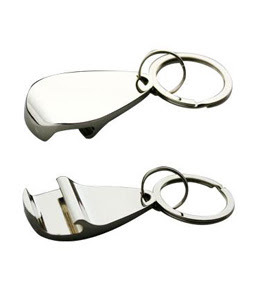 Chrome Bottle Opener Keyring: This Bottle Opener Keyring has a stylish chrome finish which is a great backdrop for your laser engraved logo. 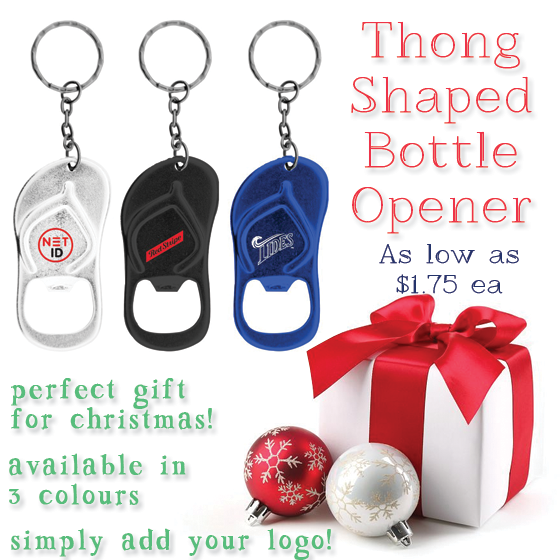 Bottle Opener Key Chains are essential low cost giveaways that can generate great brand exposure and it's a product that won't break the bank! Now on SALE, it's your turn to grab a bargain with this classic promo product! Branded Keyrings are great merchandise items for a wide range of events and can be used by Real Estates, Locksmiths, Hotels, Travel Companies, Car Dealerships, Transport Companies and anyone looking to hand out a low cost promotional product. Vivid Promotions has a wide range of Keyrings and Key Chains that can all be custom printed with your logo or business details. Check out our Metal Keyrings, Plastic Keyrings, Keyring Flash Lights, Carabiner Keyrings,Membership Key Tags, Dog Tag Keyrings, Bottle Opener Keyrings, Novelty Key Chains,Floating Keyrings, Custom Shaped Key Rings and more! IMPORTANT NOTE: Discounted pricing does not include 10% GST or delivery charges. Discount cannot be used in conjunction with any other offer or discount. FREE Shipping is always a bonus when ordering your promotional items & now Vivid Promotions is offering this great deal on our selected Stubby Coolers and Ceramic Mugs below! For the month of May, we're wiping the standard freight charge for Australia Wide deliveries! Check out the below items for your next event and SAVE! 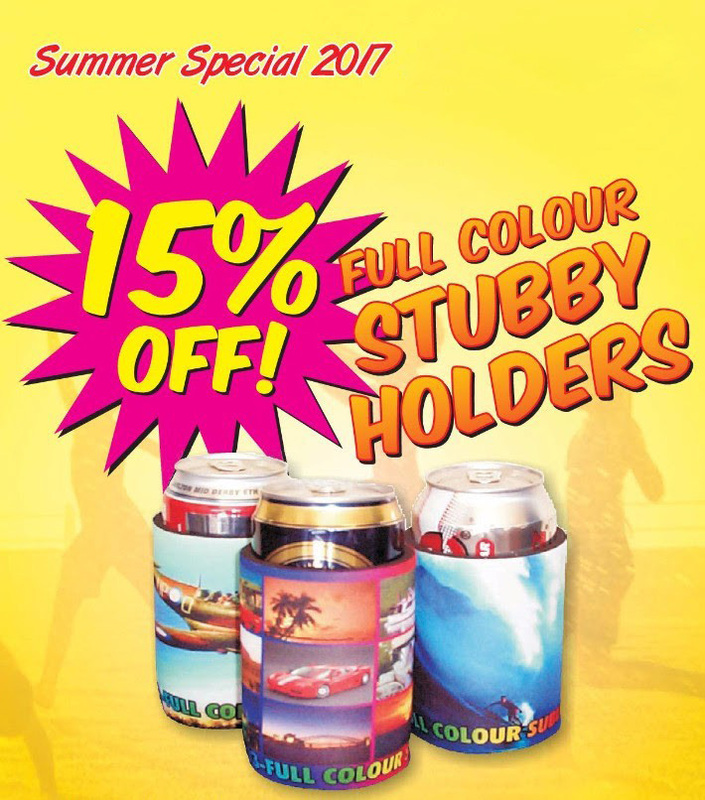 Full Colour Stubby Cooler: Vivid Promotions' most popular Stubby Cooler is the Full Colour Sublimated Cooler with Base and Taped Seam. Perfect for wedding favours, product launches, gifts with purchase or a free giveaway, our Stubby Holders are loved by all! 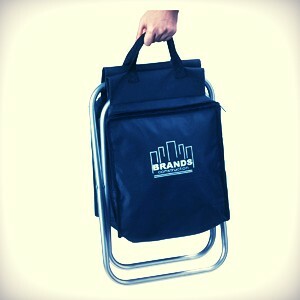 Add your full colour logo or photo image and wrap around the cooler for maximum brand exposure. For the month of May, we are offering FREE standard freight, Australia Wide. Don't miss out on this great offer! 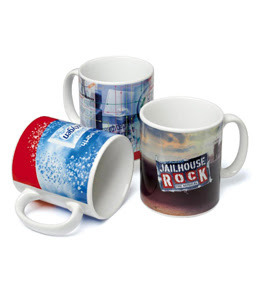 Sublimated Mugs: Add your full colour logo or photo image to our low cost Sublimation Print Mug. 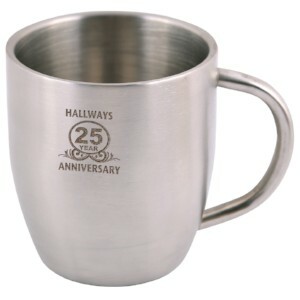 This classic can mug will hold 300ml of your favourite hot beverage and will display your brand with every sip. Place your design on 2 sides of the mug or take advantage of the large wrap print area. 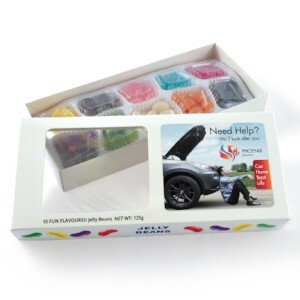 Ideal for trade shows, low cost promo giveaways and handing out to office staff. For the month of May we are offering FREE standard freight, Australia Wide! These mugs also come individually gift boxed ready to go! Looking for a promotional product but not sure what to get that will best represent your brand and the message you want to get across? 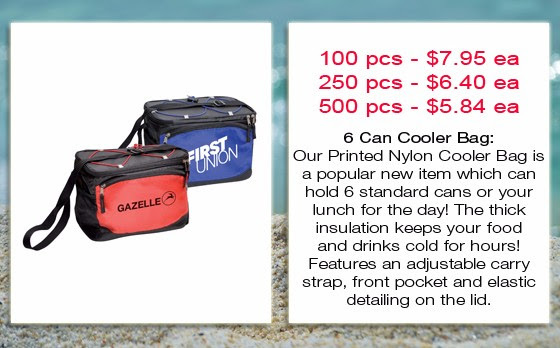 Vivid Promotions has the solution for you with our premium Stubby Coolers and Ceramic Mugs! 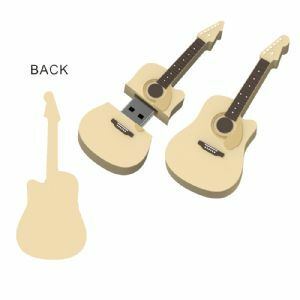 The Full Colour decoration on both of these items ensures you get the most out of the printable area. You can add a photo image, full colour logo, business details and more! Both the Mug and Stubby Holder offer a 1 or 2 side print or a full colour wrap around print all for the same low price. 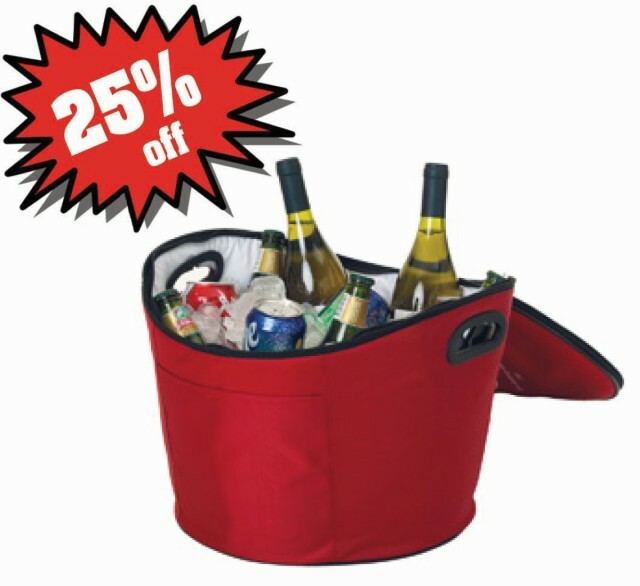 Stubby Coolers: Great low cost giveaways for bottle shops, outdoor and camping stores and fishing stores. Printed Stubby Coolers are also a memorable item to hand out as wedding favours, when launching a new business or brand and can be added to a show bag or gift pack. Ceramic Mugs: Look around, we bet someone in the office has a coffee mug on their desk! These mugs are ideal for using in the office, at home, filling them with treats and making your own unique gift, handing out as a thank you gift to staff or promoting your brand at morning tea events and fundraisers. IMPORTANT NOTE: Pricing does not include 10% GST. Offer ends on the 29th of May 2015. Oops, I have been too busy using my Chillihilli Bubby Cooler I haven\'t posted my thhoguts, so here goes I Love It!I have been using the wide neck bottle cooler since I received it about 4 or 5 weeks ago. It\'s has been used to keep bottles cool, and to keep bottles warm, as the weather has been all over the place.They are fantastic to use when out and about, however they are as great to use at home. My DD loves to graze her way through a bottle, so they keep the temperature of the contents at the right temperature for the hour she takes to finish.I just love the funky designs. They\'re also so easy to stick in the nappy bag if it isn\'t already on the bottle when you\'re heading out.One of those cool and functional baby products we all love to see. At some stage you've probably purchased some BIC Pens or stationery from your local newsagent and now the trusted BIC Brand offers so much more! 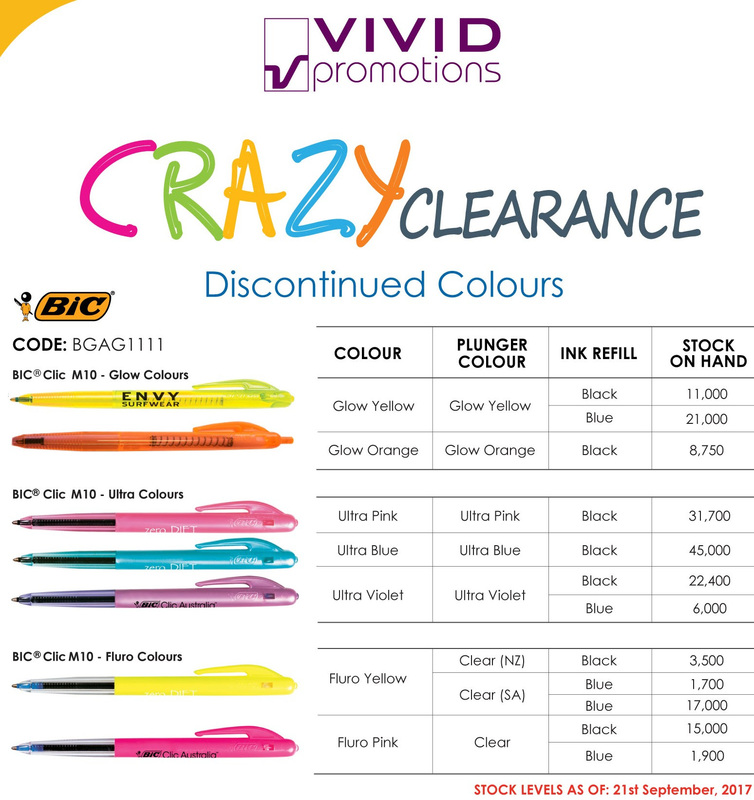 Vivid Promotions stocks a huge range of BIC's Promotional Products which vary from quality Pens, Drink Bottles, Notebooks, BIC Lighters, Cooler Bags, Tote Bags, Branded Keyrings, Compendiums, Luggage Tags, Lanyards, Badge Holders and more. Check out 4 of our unique BIC Products below that are currently on sale! Stainless Steel Spectra Bottle: This NEW Bic Drink Bottle is a stylish and impacting promotional product that can be branded with your large screen printed logo. Presented in 4 Corporate Colours, the Spectra Bottle holds 740ml and features a handy flip top lid. Ideal for Gyms, Sports Clubs, Health Campaigns and anyone who would like to promote their business with a quality made Stainless Steel Water Bottle. Check out our SALE pricing while it lasts! 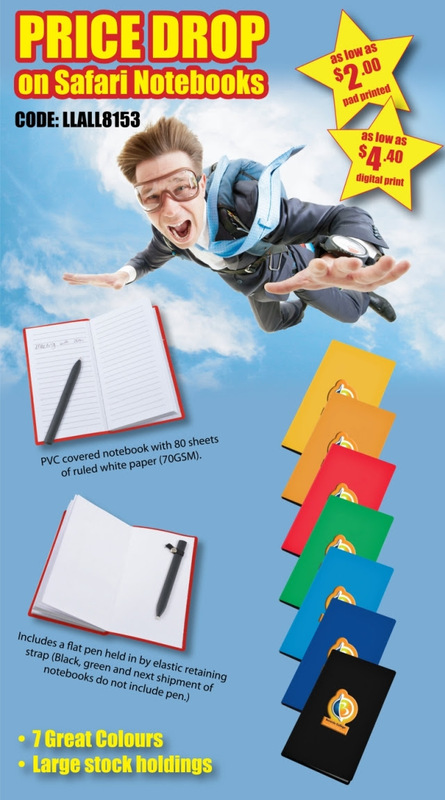 Plastic Pocket Notebook: Promotional Notebooks are always a handy office item to have. You can use them in the office, at home, take to meetings and trade shows and mail out to clients! Choose from our 4 vibrant coloured pocket notebooks to match your logo. The Spiral Bound Notebook includes 60 lined pages and a plastic slip cover. 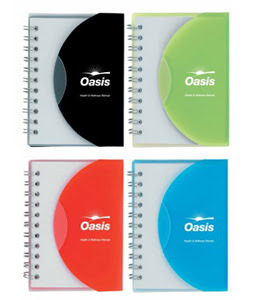 Add a pop of colour to your next promotion and purchase multiple coloured Notebooks with the same logo! 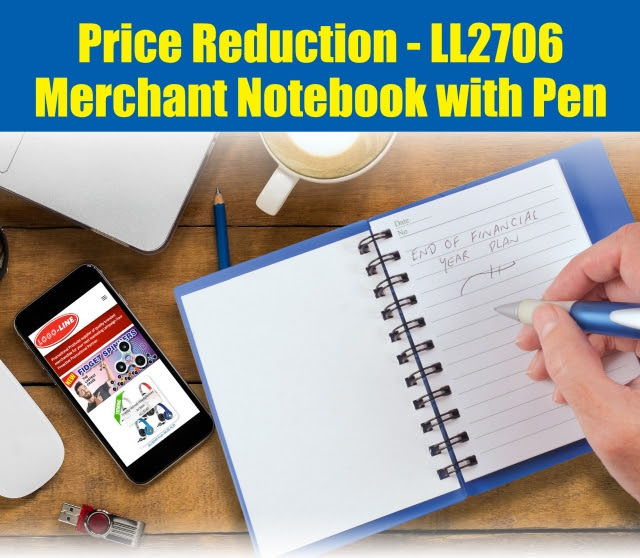 With fast turn around times and a great SALE price now on offer, this Pocket Notebook is a must have for your event. Centre Court Duffel Bag: Vivid Promotions' Atchison Duffel Sports Bag is a great option for budget promotions and events. Featuring a zippered main compartment, front slip pocket, handy water bottle holder and an adjustable shoulder strap, it has everything you need and is now on SALE! 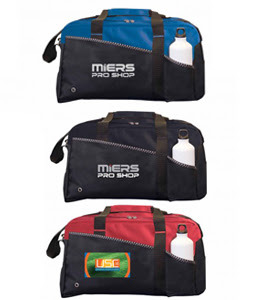 Perfect for Sports Clubs, Travelling or gifts with purchase. The sturdy 600D Polyester material comes in Red, Black or Blue and can be printed with your brand within the large decoration area. 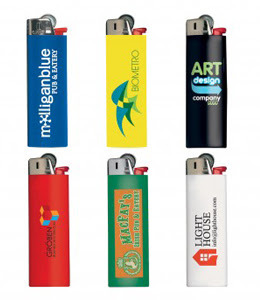 BIC Promotional Lighter: BIC's Lighters are a popular product that can used for a wide range of events and promotions. These coloured Lighters can last for up to 3000 lights and are presented in 6 different colours. 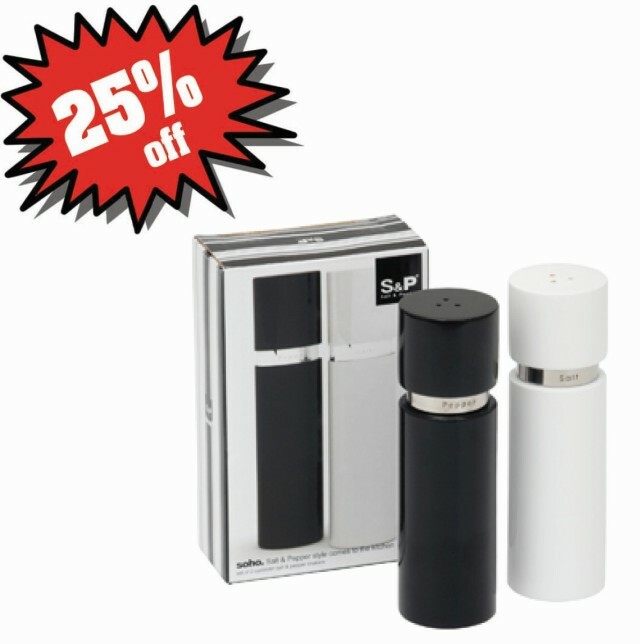 Add your logo to 1 side of the Promotional Lighter and print up to 4 colours to make the most of the printable area. These handy Lighters are currently on SALE with a 1 colour design. The BIC Lighters are comfortable to use and feature a patented child guard mechanism. For more than 50 years, BIC has honoured the tradition of providing high-quality and affordable products to consumers around the world. Together, Vivid Promotions and BIC® offer simple, inventive and reliable choices for everyone that's looking for promotional products that last. By creating products that are functional, quality made, affordable, inventive and available for everyone, we can offer unbeatable products and premium service with every sale. All of BIC's Promotional Products are reviewed by a product safety product specialist to ensure we can provide you with the best merchandise items around. Check out Vivid Promotions' collection ofBIC Products today and make your next event one to remember. for her on the package but I, like many, asemusd it was just a marketing ploy seeking to profit off of archaic gender constructs and the war of the sexes . Little did I realize that these pens really are for girls, and ONLY girls. Non-girls risk SERIOUS side effects should they use this product. I lent one to my 13-year-old brother, not thinking anything of it, and woke up the next morning to the sound of whinnying coming from the room across the hall. I got out of bed and went to his room to find that my worst fears had been realized:MY LITTLE BROTHER IS NOW A UNICORN and it\'s all my fault. Sure, you\'d think that having a unicorn for a little brother would be great but my parents are FURIOUS I\'ve been grounded for a MONTH!!! 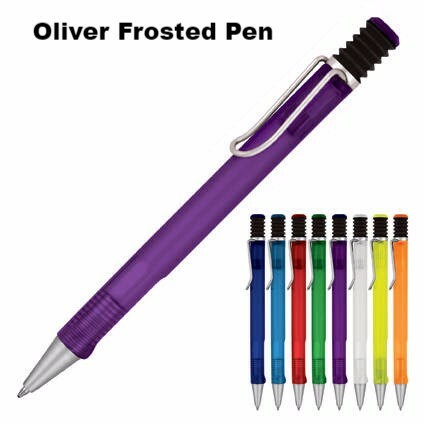 They made an appointment for him with our family practitioner, but I\'m not sure it\'ll do any good, and they told me that if it couldn\'t be fixed I\'d have to get a job to help pay for his feed and lodging D:I repeat, boys, DO NOT USE THIS PEN. Unless you want to be a unicorn, and even then be careful because there\'s no telling that you\'ll suffer the same side effects.SERIOUSLY BIC IT\'S REALLY REALLY IRRESPONSIBLE FOR YOU TO PUT OUT THIS PRODUCT WITHOUT A CLEAR WARNING OF THE RISK IT POSES TO NON-GIRLS. Just saying it\'s For Her is not enough!!! for her on the package but I, like many, amussed it was just a marketing ploy seeking to profit off of archaic gender constructs and the war of the sexes . Little did I realize that these pens really are for girls, and ONLY girls. Non-girls risk SERIOUS side effects should they use this product. I lent one to my 13-year-old brother, not thinking anything of it, and woke up the next morning to the sound of whinnying coming from the room across the hall. I got out of bed and went to his room to find that my worst fears had been realized:MY LITTLE BROTHER IS NOW A UNICORN and it\'s all my fault. Sure, you\'d think that having a unicorn for a little brother would be great but my parents are FURIOUS I\'ve been grounded for a MONTH!!! 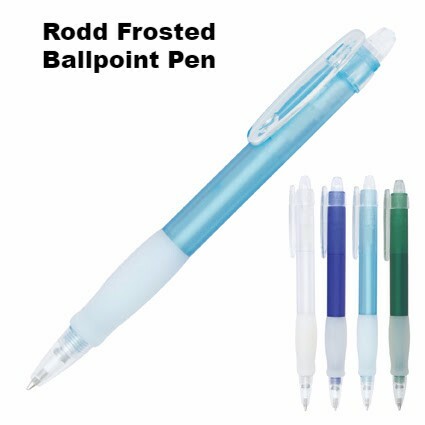 They made an appointment for him with our family practitioner, but I\'m not sure it\'ll do any good, and they told me that if it couldn\'t be fixed I\'d have to get a job to help pay for his feed and lodging D:I repeat, boys, DO NOT USE THIS PEN. Unless you want to be a unicorn, and even then be careful because there\'s no telling that you\'ll suffer the same side effects.SERIOUSLY BIC IT\'S REALLY REALLY IRRESPONSIBLE FOR YOU TO PUT OUT THIS PRODUCT WITHOUT A CLEAR WARNING OF THE RISK IT POSES TO NON-GIRLS. Just saying it\'s For Her is not enough!!! Warm Up this Winter with these great deals! Get ready for Winter early in 2015 with Vivid Promotions' Winter Warm Up SALE! We have 2 fantastic winter related promotional product on offer including our Hi Vis Embroidered Beanies and our Unisex Microfibre Jackets! Both of these can be decorated with your embroidered logo at the discounted prices below. Beat the chill and order these products today. Sale valid until the9th of April 2015. Hi Vis Reflective Beanie: Perfect for Mining Companies, Night Shift Workers, Warehouse Workers and anyone that needs to stay visible on the job, while keeping warm of course! 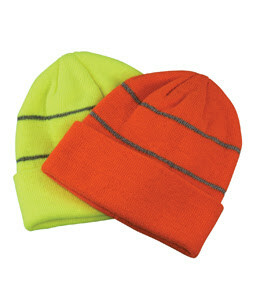 This Safety Beanie is available in Fluoro Yellow and Fluoro Orange with grey reflective stripes to keep you in view. Add your embroidered logo for a great price! 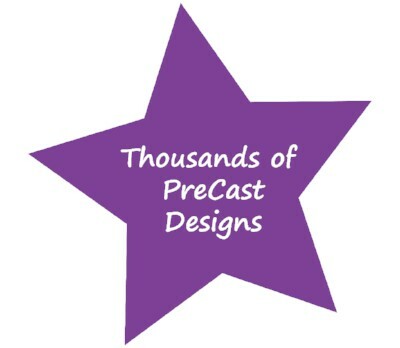 Pricing is based on a 5000-7000 stitch embroidery, so send us your logo for checking today! Now is the time to get your winter uniform sorted with Vivid Promotions' Beanies. 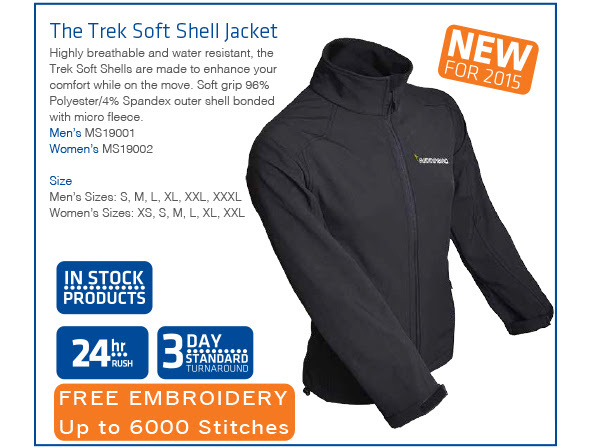 Unisex Microfibre Jackets: Check out this Unisex Microfibre Jacket for your Winter Promotion. 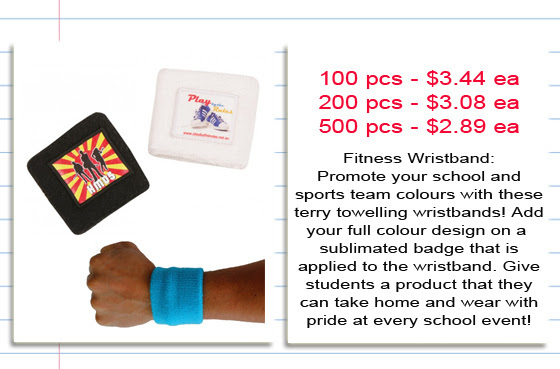 Hand out to staff, as a gift with purchase or sell them at your uniform shop! This classic Jacket is available in Black or Navy and has a range of great features such as elasticised waist and cuffs, internal jacket pocket, is shower-proof and is lined with polyester for extra warmth. Add your logo on the chest position and represent your company or sports team. Sale price includes an embroidered logo up to 7000 stitches. Keep your eyes out for HOT Winter deals leading up to Winter in 2015! We've started with a Promotional Hi Vis Beanie and a Unisex Jacket, but there's plenty more to come! If you're like us, and like to get in early, then take a look at some of our Winter gear that remains popular, year after year. We stock a great range of Promotional Embroidered Scarves, Branded Gloves, Warming Gel Packs,Hot Tea and Coffee, Thermo Flasks with Engraving, Jumpers and Jackets, various Embroidered Beanies, Promotional Tissues and Blankets to suit a wide range of events. Contact us today with your ideas and we're sure we can help make your Winter extra cosy! The goal quite clearly of the Open Borders people and the La Raza lobby is to replace the US and the American people with Mexico and the Mexican peHene.oplce the promotion of Spanish over English, Mexican flag over American flag, La Raza over Americans etc.Nothing new here. America, American patriotism, sovereignty, and it\'s people are the enemies. Just as in Europe. Looks like my aunt, Samantha Kohler. Born Janine Leatherbarrow circa 1958. Probably in Florida, NTC Orlando or Ft. Lauderdale. I was actually lionokg for pictures of her mother, Marjorie Hall (Leatherbarrow) who was USO since WW2. I have very foggy memories of both of them taking me to Navy parties and helping her decorate when she was supposed to be babysitting. And all she had to do was wave to get onto the base, and she liked to drive around and stop sailors to talk to them. And she would steal their hats.Would love to see some pictures of my grandmother, circa WW2. I\'ve heard she was very nice lionokg also, but have never seen a picture from when she was young. Also lionokg for any information on her first husband who died N Atlantic, \'42 before his son was born. I can\'t even find his name. 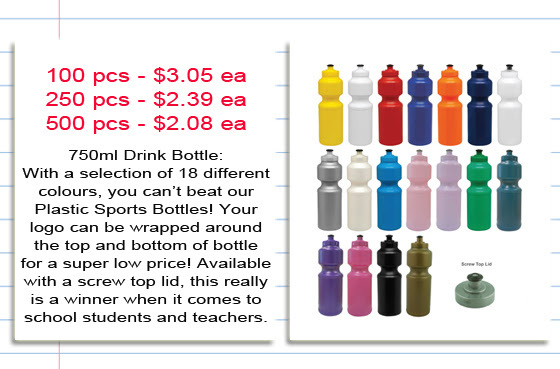 Check out our current drink bottle sale for the month of March! We have 4 great options to choose from including the Plastic Cup with Straw, Stainless Steel Water Bottle, Translucent Plastic Drink Bottle and a handy Metal Travel Mug. You can decorate all of these options with your 1 colour logo at the low sale prices below. We can even offer a wrap print for an additional charge. A high percentage of receivers will use their drinkware item on a daily basis, allowing you to gain maximum brand exposure at an adorable price. Don't miss out on this super sale! 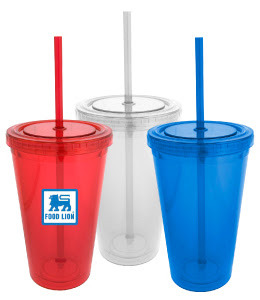 Carmel Plastic Cup with Lid: Perfect for festivals, fundraisers and gifts with purchase are the Carmel Plastic Cups! These Double walled BPA Free acrylic cups feature a matching lid and straw for extra convenience. Holding up to 473ml of your favourite drink, the Carmel translucent acrylic cup is available in Red, Clear or Blue and can be printed with your logo for a great price! Sale ends 2nd of April 2015. San Clemente Water Bottle: Presented in 3 translucent corporate colours, the San Clemete Drink Bottle with a Flip Straw is a great option for schools, gyms, fitness clubs and anyone wanting to hand out a free water bottle to customers! This 740ml BPA Free hard plastic sports bottle can be custom printed with your logo or business details and can even have a wrap print for an extra cost. 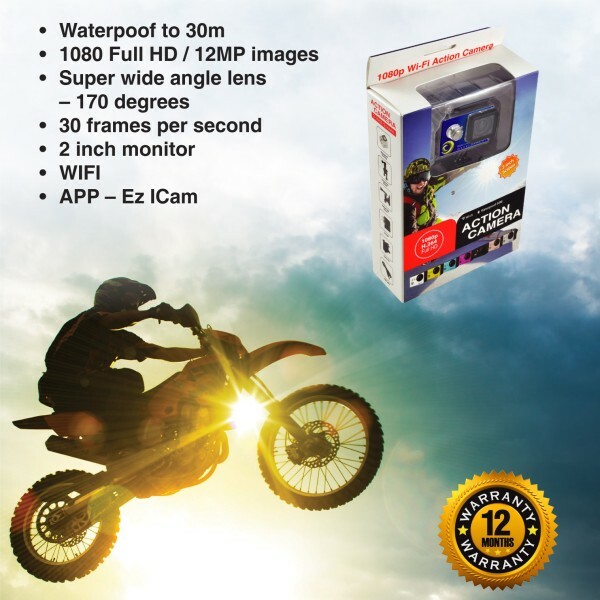 Don't miss out on this great deal - Offer ends 2nd of April 2015. Cupertino Stainless Steel Bottle: This must have Stainless Steel Bottle is a great option for those on the go! The pop up lid makes it easy to use during exercise and has a practical carry handle so you can carry wherever you go. This 700ml Drink Bottle will keep your drink cool throughout the day and can be printed with your logo. Now on Sale, the prices have never been better! Offer ends2nd of April 2015. Baltic Metal Travel Mug: This Stainless Steel Travel Mug is the perfect gift for those who travel or have their coffee on the run! 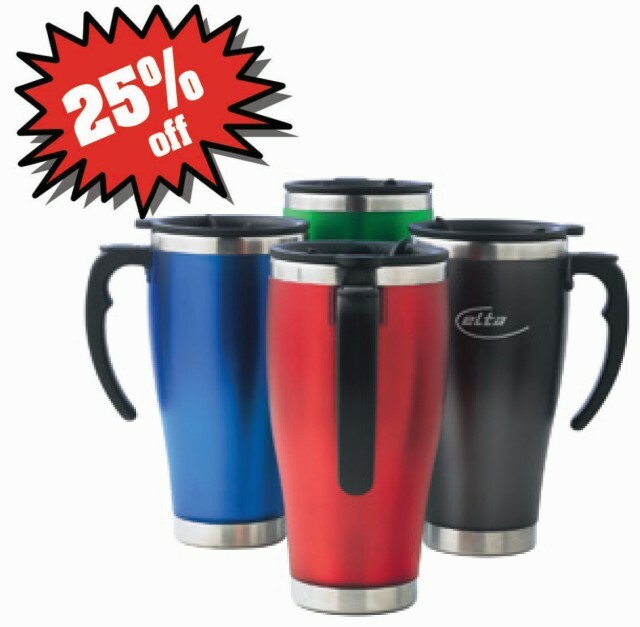 The Baltic Metal Travel Mug is a 473ml double walled mug with a stainless steel inner and outer for extra insulation. 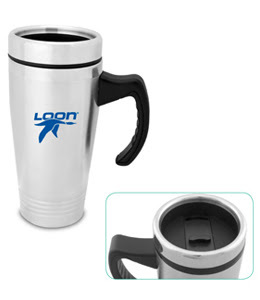 Featuring a black handle and push lock lid, this Stainless Steel Travel Mug can be printed with your logo or engraved at an extra cost. Make sure you grab a great deal with our current sale pricing. Sale ends 2nd of April 2015. 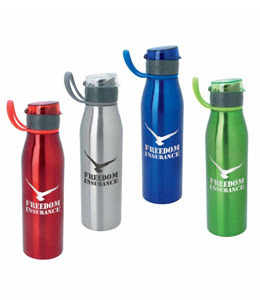 Promotional Drink Bottles are a fantastic way to promote your brand alongside your message of health and wellbeing. 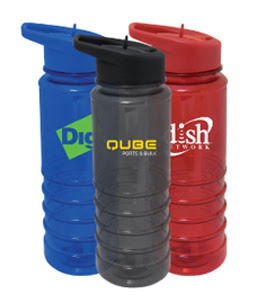 Custom Branded Drink Bottles are ideal for sports companies, gyms, fitness groups, health care companies, schools, government initiatives and anyone wanting to get their brand circulating. 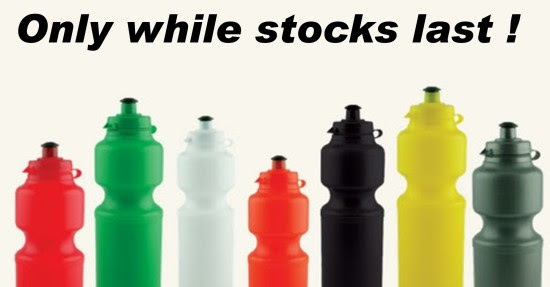 Vivid Promotions has a wide range of Drink Bottles including Plastic Sports Bottles,Aluminium Drink Bottles, Stainless Steel Water Bottles, Protein Shaker Bottles, Vacuum Flask Bottlesand Custom Branded Bottle Coolers and Carriers to complement our Drinkware Items. For more information and pricing on any of our Drink Bottles, contact us today on 1300 72 70 92.
life is more eaiesr life is more eaiesr now andï»¿ technology like this I mean marketing through this technology is something beyond any bound. Was this answer helpful? The hot cross buns are ready to go in the supermarkets and Vivid Promotions is ready to go with our Custom Printed Easter Chocolates for 2015! Add your logo to our delicious Easter Chocolate Products and hand out to clients at a great price! New to our Easter range this year are our Carrot Bags filled with chocolates and our Pillow Packs filled with mini Easter Eggs. 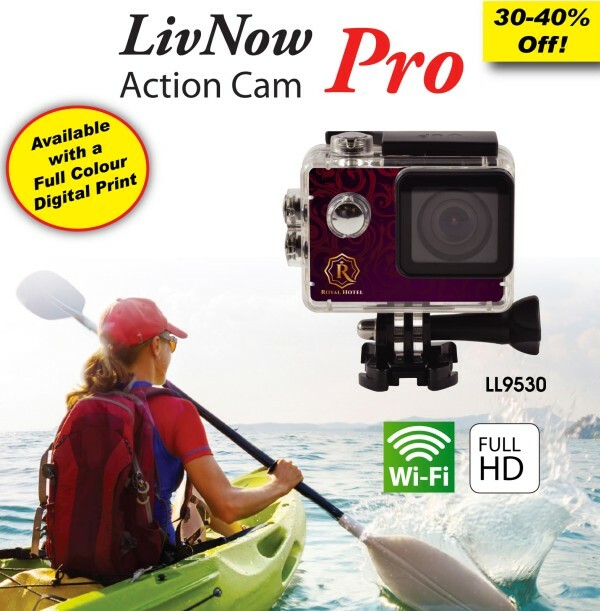 Check out these great deals now! Carrot Bags with Coloured Gems: How cool is this unique Easter Product! The Easter Carrot Bags can be filled with a ranger of tasty treats and these are now on SALE! 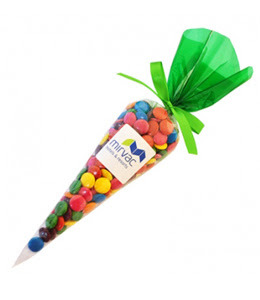 Our Easter Carrot Bags with Coloured Chocolate Gems (aka smarties) are presented at a great price which includes either a label on the bag or a gift tag. Both of these branding options allow your logo to be printed in full colour. Choose a fun Easter Product for 2015 and promote your brand in style. 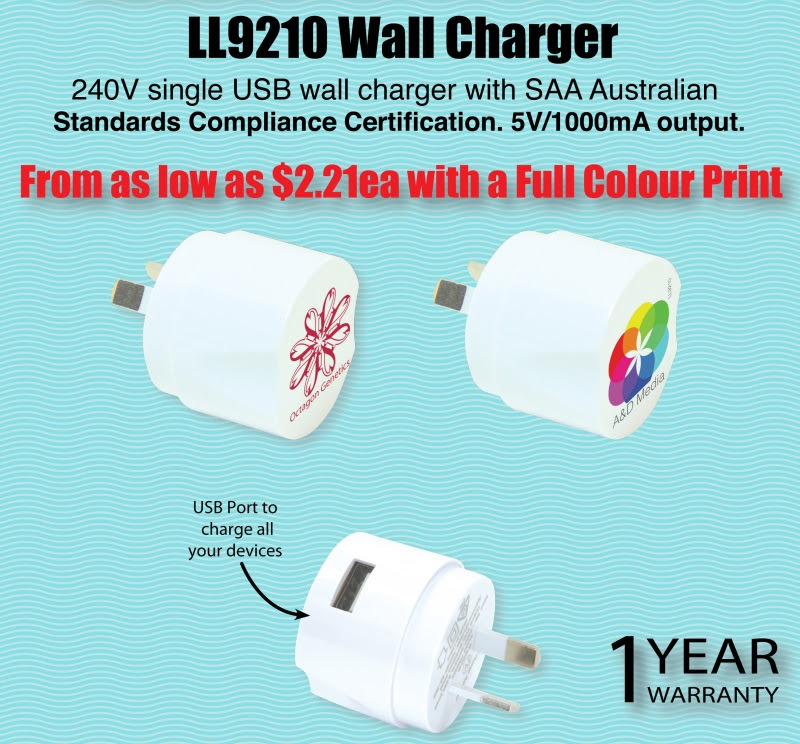 Sale pricing is valid until the12th of March 2015. Other confectionery options for the carrot bags are available at a different price - please email us for a quote. 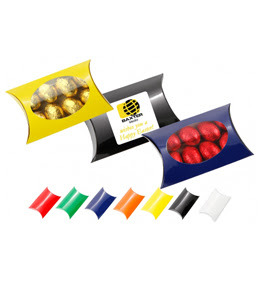 Mini Easter Eggs in Pillow Box: Choose a delicious promotional product to hand out to your clients for Easter 2015. Vivid Promotions' Pillow Boxes with 8 Mini Solid Easter Eggs make fantastic giveaway gift ideas and can be printed with your full colour logo. The pillow box is available in 7 great colours and features a clear window. You can choose from assorted coloured eggs or single coloured eggs at the same price for limited time only! Hop on over to our tasty Easter Sale and get your Easter event or promotion ready. Offer is valid until the 12th of March 2015. It's always best to get in early for Easter promotions as most of these products are made to order, ensuring you receive the tastiest and freshest chocolate products around! 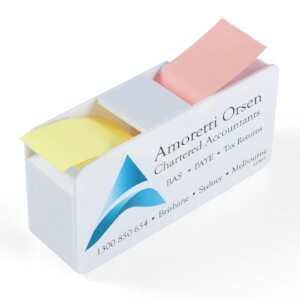 add your logo to an Easter Item and give out to clients, colleagues and more. Vivid Promotions offers Maxi Easter Eggs, 3D Foiled Easter Bunnies, Mini Easter Bunnies with Gift Tags,Hollow Eggs filled with Smarties, Mesh Bags filled with Easter Eggs and a whole range of other tasty chocolate treats that can be printed with your easter message. Contact us today with your Easter Ideas... we'd love to help! Phone us on 1300 72 70 92. Sharleen - These pictures are great. I think the one of them sttiing in the wheat grass is my favorite . but then again . it is hard to choose. Rebecca, you do an amazing job of capturing their personalities. Joni - That was a fun concert! I enojeyd all the bands, including the opener great way to spend a cool spring evening. I kept seeing you running by with your camera, but you never slowed down long enough for me to say hello. Your pics are super! I have to know: did you get some of the little girl in the onion dress who was dancing all around? She could have been on the stage! Check out our current Close Out Promotional Products, available at ridiculously low prices! Once sold out, these printed merchandise items will be discontinued from our range, so ensure you get in asap to secure these great deals! Don't miss out on the last of our Notebooks with Noteflags, Retractable Badge Holders, Plastic Pens and Ceramic Knife Sets! Notebook and Noteflag Set: Looking for an all in one product that combines a notepad and handy coloured note flags? Then the Shimmer Notepad/Noteflags Set is the product for you! Featuring 80 blank pages and 6 Neon Note Flag Strips, you can easily take down notes and mark pages. 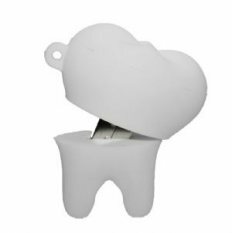 This great office accessory is in our close out range and will be discontinued once sold, so act quickly while stock lasts! 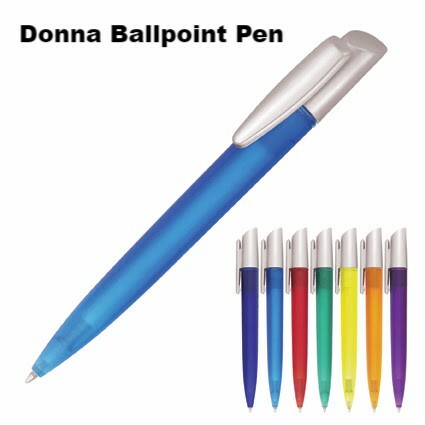 Caruso Ballpoint Pens: Choose a brightly coloured pen that will represent your brand in a new light! 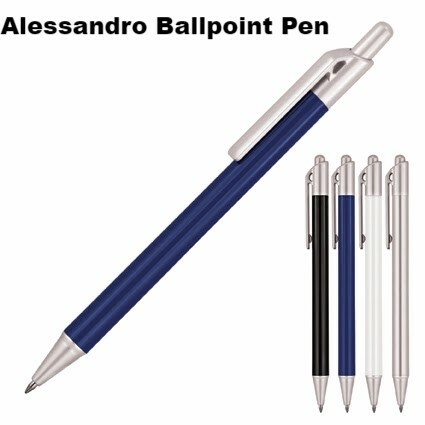 This Caruso Ballpoint Pen is available in 6 great colours to match your corporate logo. Featuring a black rubber grip and clip, the Caruso Pen caters to all. 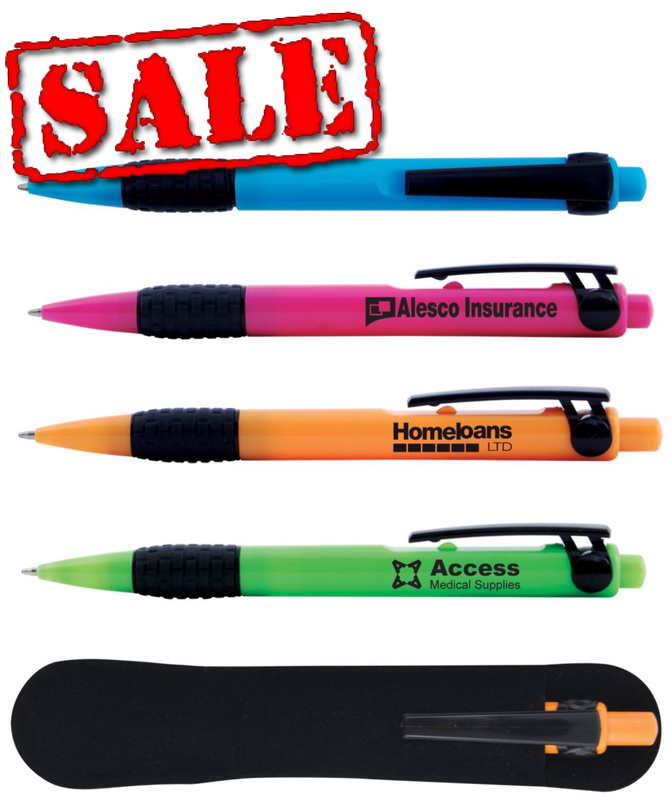 Add your 1 colour logo to the pen barrel at a super low price while stock lasts! Once sold out, this item will be removed from our range. 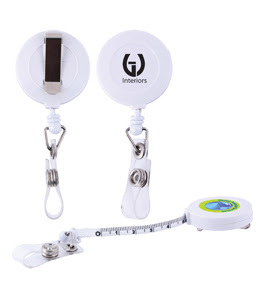 Badge Holder with Tape Measure: Ideal for the fashion industry, health care organisations and those who need a handy tape measure for their daily tasks. The badge holder allows for your full colour branding and also features a clip for your ID Card. The 100cm retractable tape measure is a great feature that completes the product. Currently in our clearance range, this product will be discontinued once sold out. Ceramic Knife Set: Check out this premium Ceramic Knife Set for a super low price! 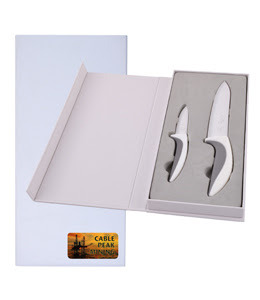 Includes 2 Ceramic Knives with rubber handles neatly packaged in a magnetic box with full colour label applied. You can also add engraving on the knife blades at an additional cost. You can't let this great deal slip by, so ensure you order today to grab a deal. Once sold out, this Premium Knife Set will be discontinued from our range. 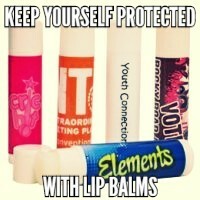 Printed Anti Stress Toys, Promotional Stickers, Branded Balloons, Custom Printed Backsacks, Keyring Bottle Openers, Stubby Coolers, Promotional Lanyards, Plastic Pens, Silicone Wristbands, Temporary Tattoos, Branded Caps and Drink Bottles just to name a few. There's no need to spend big on company advertising when the simple solution is budget promotional products that get just as much recognition as a billboard! Contact Vivid Promotions today to discuss your ideas for your next event. Promotional Caps now on SALE! Are you looking for a Promotional Cap to get your business out there? Then check out Vivid Promotions' Custom Printed Caps now on SALE! 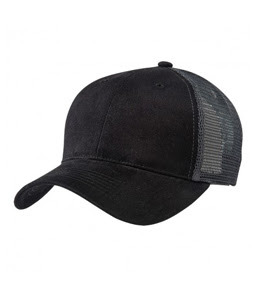 We have Fashion Caps, Flat Peak Caps, Sports Caps and Budget Caps to suit all target markets. Choose a marketing tool that is useful, practical and budget friendly. Choose a Promotional Cap today! 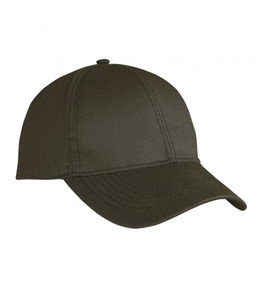 Oil Skin Cap: NEW to our range is the stylish Oil Skin Cap. Not only is this cap fashionable, it's also the perfect cap to keep you protected from the harsh weather. Featuring a 6 panel structured design, pre-curved peak, padded cotton sweat band and adjustable strap with a metal buckle, the Oil Skin Cap is now on SALE! Check out this great offer while stock lasts. Price includes embroidery from 5001-7000 Stitches, please send through your logo to see if this pricing will apply to your design. Military Caps: Promotional Military Style Caps are great caps for a wide range of events and promotions. Ideal for Boot Camps, Fitness Programs, Giveaways and Outdoor Activities, the Printed Military Caps come in 6 different colours to enhance your brand. With an adjustable tab at the back, metal eyelets on the side and a cotton twill design, this is a great Cap for everyone! A great benefit with a promotional cap is that they can be worn by both men and women, making them a fantastic unisex option to suit all clients! Get a bargain today while this Military Cap is on SALE! 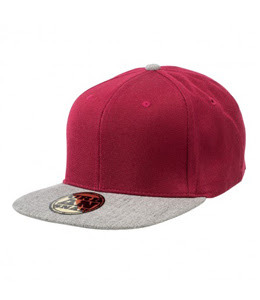 Freestyler Cap: Another fashionable NEW Cap is the Freestyler Snapback Cap. 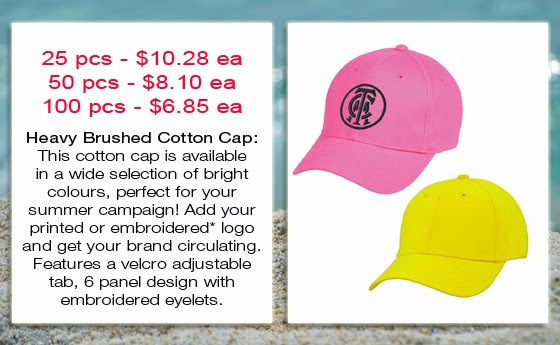 This modern designed Cap is a popular choice for youth programs, fashion related promotions and campaigns promoting sun safety. Presented in two colour options, the Freestyler Cap features a plastic snapback fastener, embroidered eyelets, padded cotton crown and gold foil sticker on the peak. 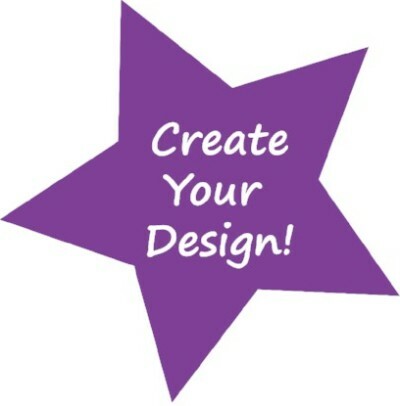 Add your embroidered logo for a low cost now! Price includes embroidery from 5001-7000 Stitches, please send through your logo to see if this pricing will apply to your design. Light Weight Sports Cap: Perfect for running and sports events is the Lightweight Mesh Sports Cap. Presented in White, Navy and Black, this 4 panel cap with mesh sides allows for maximum breathe-ability during exercise. Add your 1 colour logo to the front of the cap and get your team name or company branding out there. 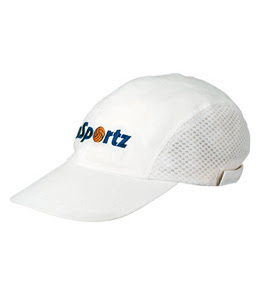 Due to the low cost, this Sports Cap is a great option to add to a gift pack, show bag or hand out at a sports event. Don't miss out on these crazy low prices for the month of Feb! 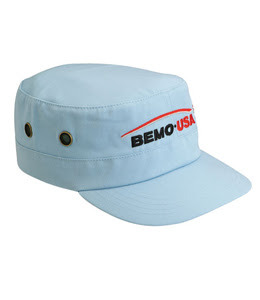 Promotional headwear products make great gifts for any and every event in 2015! Vivid Promotions has a huge range of Promotional Caps with over 1200 different designs to choose from, all at a fantastic price. Choose a cap that represents your brand and the message you're wanting to get across and don't break the bank whilst doing so. We have have Caps and Head Wear Items for every occasion including Embroidered Bucket Hats,Stylish Akubra Hats, Cheap Promotional Caps, Coloured Peak and Contrast Caps, Baseball Caps, Eco Friendly Caps, Trucker Mesh Caps, Safety Hats, Printed Visors, Beanies and Bandanna's. 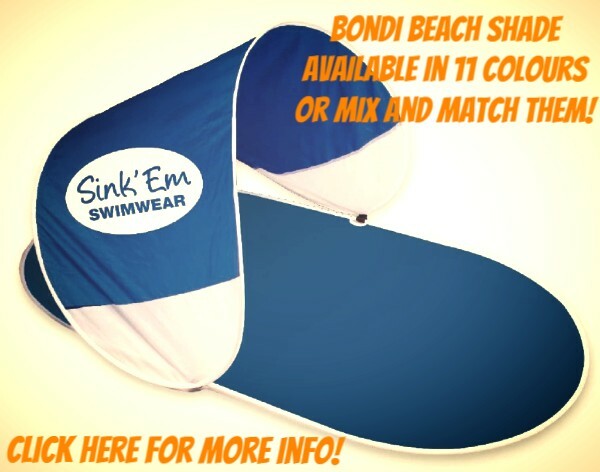 Contact Vivid Promotions today on 1300 72 70 92 for more information and a quote on your very own unique Promotional Cap. IMPORTANT NOTE: Discounted pricing does not include 10% GST or delivery charges. Please refer to website for sale pricing and decoration options available. 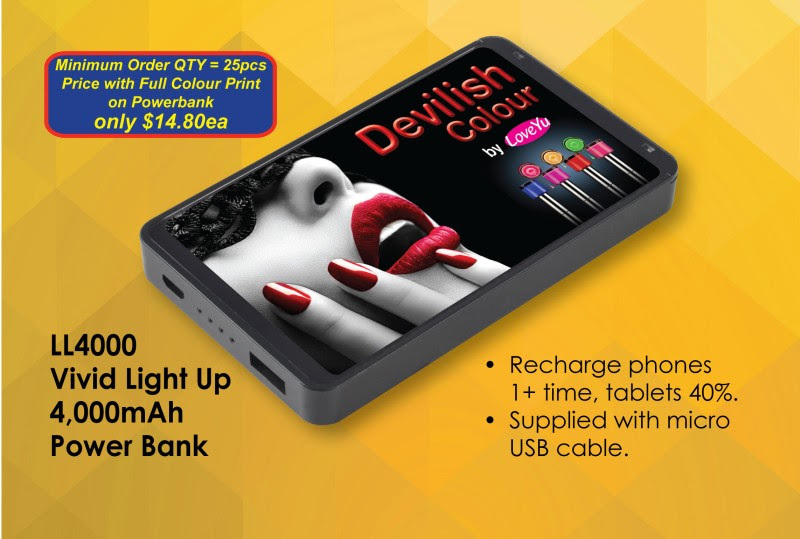 Printed Phone Accessories now on SALE!